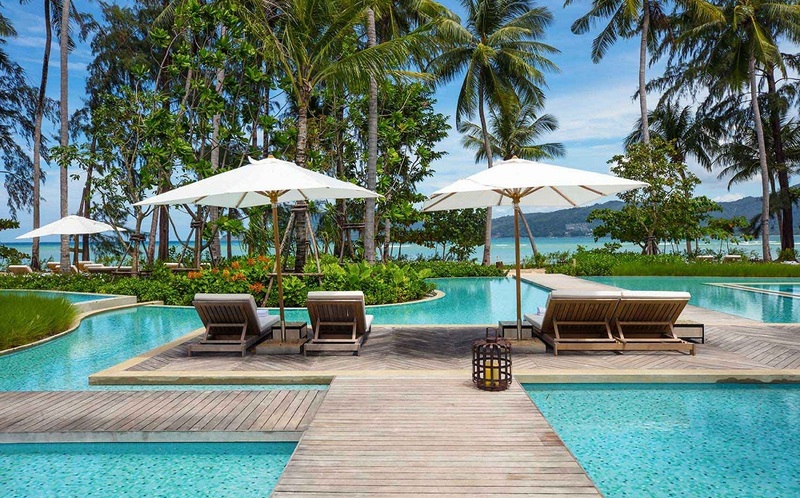 Avani Hotels & Resorts is expanding its portfolio in Thailand with the launch of AVANI+ Samui, an upscale resort situated by Taling Ngam Bay on Koh Samui. 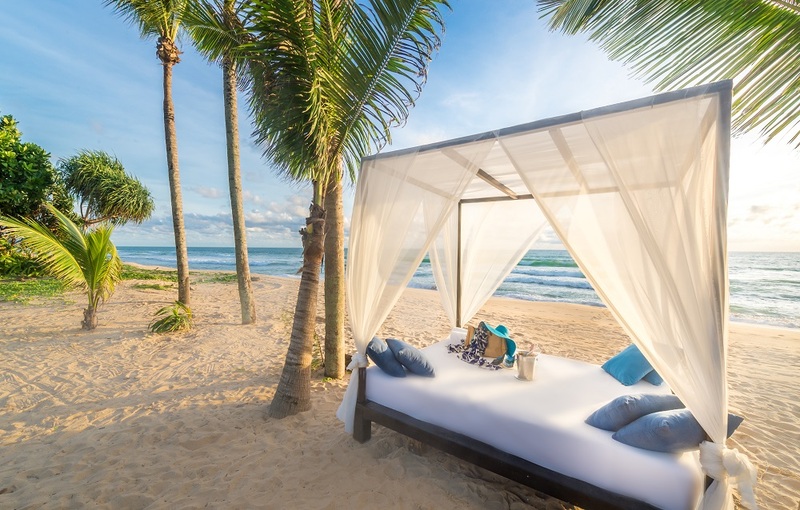 The new seaside hideaway features 25 guestrooms, 27 private pool villas and six beachfront pool villas, which are all situated steps away from an untouched, secluded bay. 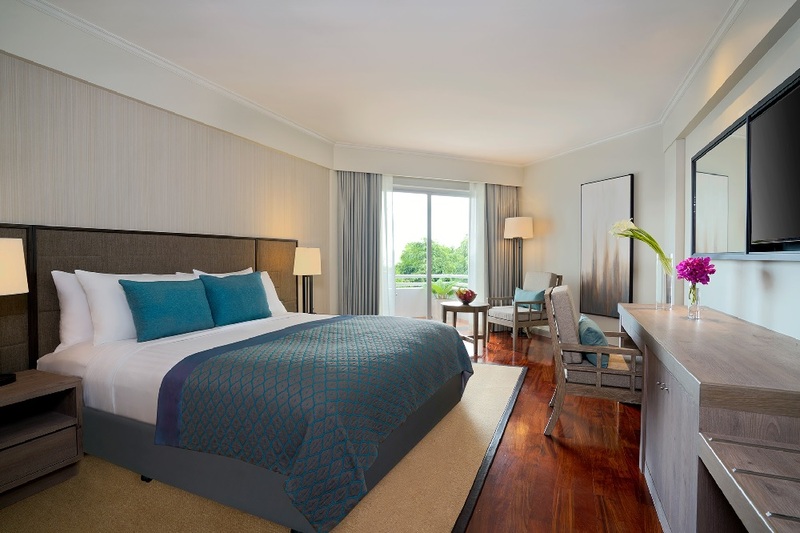 Each room and suite has been designed to be spacious, with nature-inspired yet vibrant interiors complete with ample natural lighting that floods each room. Koh Samui, Thailand’s second largest island, has long been a major island destination for local and international travellers. With its untouched beaches and easy access to the rest of the island, Taling Ngam Bay, on the southwest coast, is ideally situated to capture a wide consumer demographic. Avani currently operates 24 hotels and resorts in 15 countries worldwide. 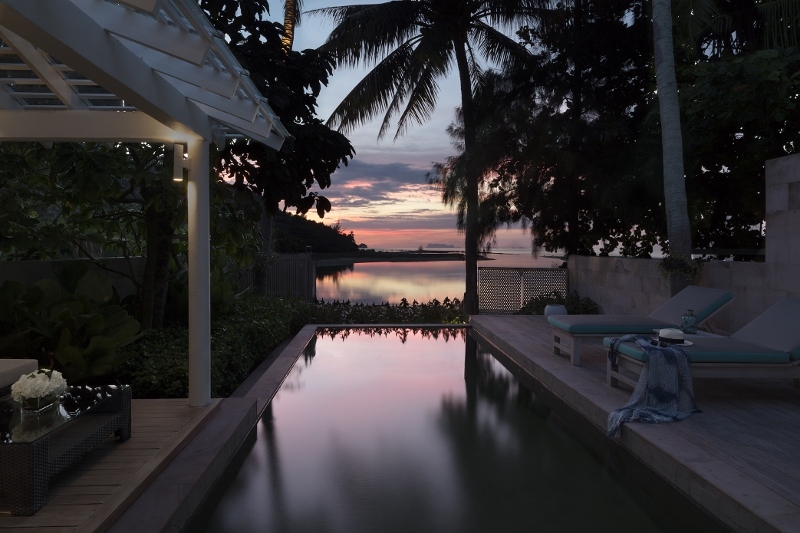 The opening of Avani + Samui follows the brand recently debuting properties in Australia, New Zealand, and Laos – and Avani currently has a further 15 new hotels in the pipeline, including a recent signings in Dubai, Bangkok, and Busan. Are we experiencing the death of plastic? Asia’s first plastic-free hotel has opened. The environmentally conscious Akaryn Hotel Group would like to think so. They’ve revealed that their fourth Asian hotel opening will feature no single-use plastic whatsoever. Akrya Sukhumvit Bangkok opens later in 2018 and all guests will be given a refillable stainless steel water bottle upon check in. Water coolers will be added to every floor, so guests have an easy and constant supply of water. Inside, “simple natural woods” and “accent of modern retro-chic” create a distinct style, within the city’s fashionable Sukhumvit district. Industrial materials meet warm, glamorous accents of lemon yellow and golden in the bedrooms and communal areas. Away from the historic old centre, Sukhumvit is famous for its shops and bars, as well as authentic restaurants and nightlife. Family rooms, superior rooms and suites all herald a “5 star” service promise, and there’s an on-site spa. The Akaryn Hotel Group have a diverse range of properties around Thailand. 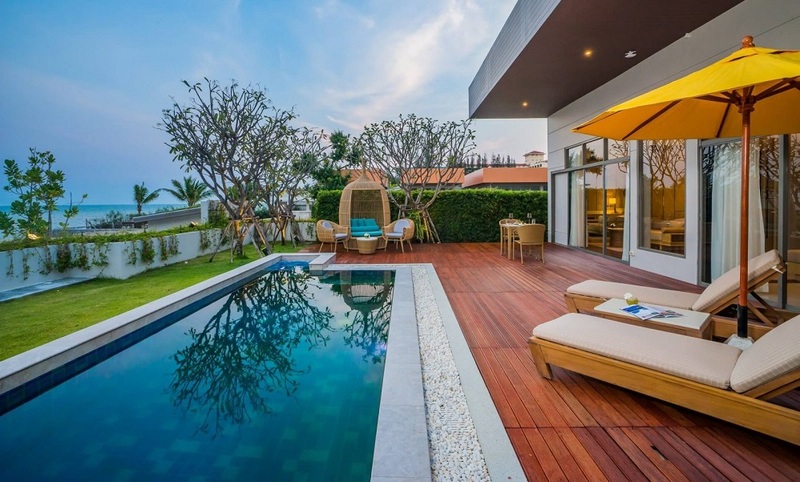 Properties in Chiang Mai and Phuket are relaxing in different ways. The former to experience the north of the country’s spiritual tranquility, while Phuket is the country’s original luxurious beach resort. 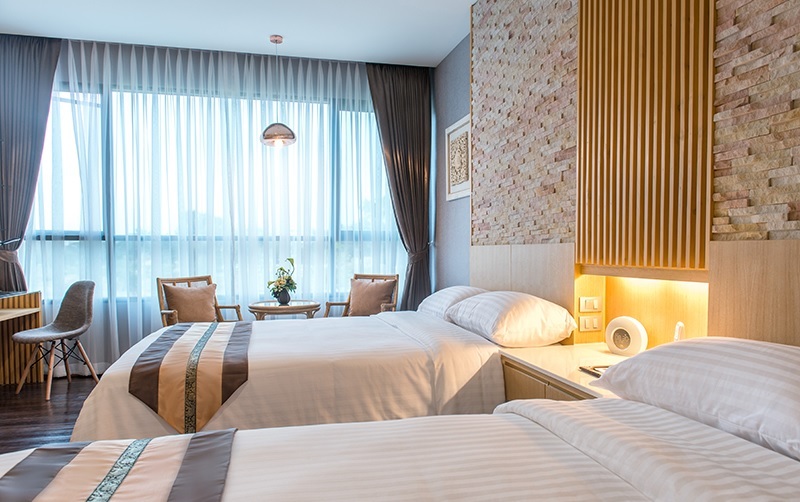 The hotel group also have another hotel in Bangkok, in the city’s fashionable Thonglor district, also a hub for nightlife, restaurants and bars. David Attenborough’s landmark British television programme Blue Planet 11 called on viewers to drastically cut back their plastic use, to help protect the environment for future generations. An estimated 12.7 million tonnes of plastic finds its way into the oceans every year, according to Green Peace. Rooms are simple and functional, with views out over the the city. An airy and spacious restaurant will have city views, as is the norm in Bangkok where skyline bars and rooftop bars provide accessible luxury. Floor-to-ceiling glass windows and high ceilings create an opulent feel, highlighting space and the views from the window. Within a jungle forest on the shoreline of the Andaman Sea, Rosewood Phuket captures the essence of the island’s spirit, culture and environment, with a design inspired by the concept of a luxurious beach residence. 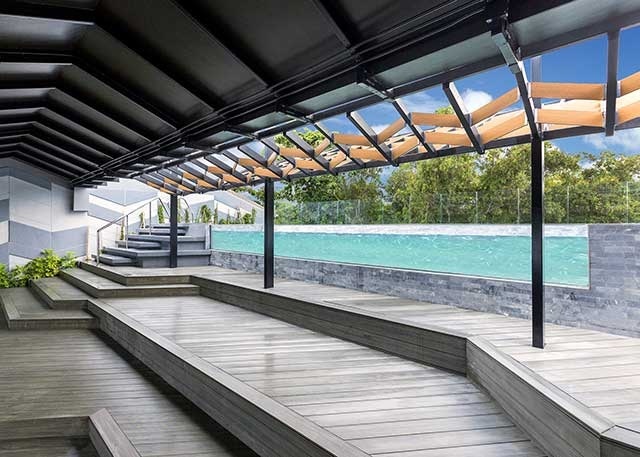 Renowned Melbourne-based design firm BAR Studio seamlessly blended contemporary aesthetics with the tropical surrounds to celebrate a connection between landscape, light and views. Rosewood Phuket is village-like in its layout – a series of pavilions and paths linking hilltop to beach, whose design acknowledges its international context, yet is profoundly influenced by its geographical and cultural location: raw and refined, sophisticated yet relaxed. A balance of architectural elements, sophisticated interiors, diverse landscapes, captivating details, and a dramatic revealing of interior and exterior spaces gives Rosewood Phuket its distinctive personality. The resort continuously unfolds and engages guests with a myriad of hidden surprises, details and intimate moments. Framing is a fundamental design component here, showcasing elements that are uniquely of the place — whether that is a view, an artifact, a piece of art or a landscape. From approach by discreet cobblestone driveway, through monumental entry gates marking arrival, to a welcome pavilion that opens up to spectacular views of the Andaman Sea, there is an immediate unfurling of Rosewood’s A Sense of Place® philosophy. 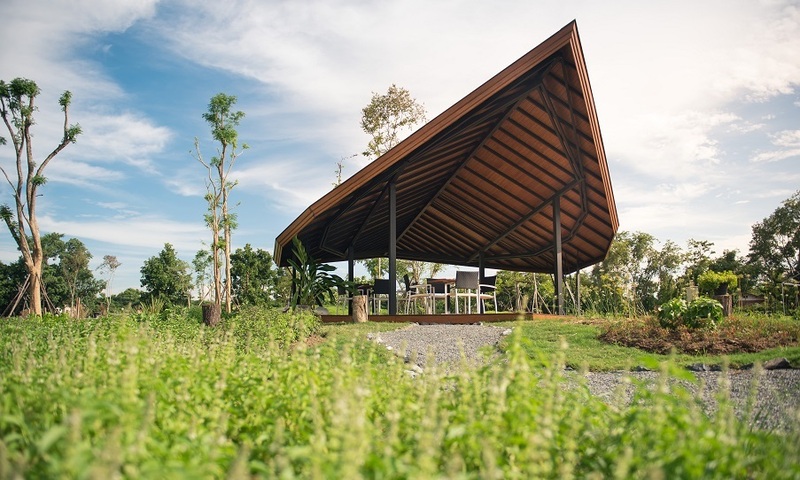 BAR Studio collaborated with Bangkok landscape architects PLA to curate a journey spanning multiple eco-systems, from untamed nature to gardens and ocean shore, with meandering walkways through tropical foliage connecting all facets of the resort hamlet. Local teak, both sustainably sourced and recycled, is used extensively in structural elements, walls, floors and ornamentation, so a uniquely Thai material is woven through the fabric of the resort, enhanced by warm sandstone wall and floor finishes. 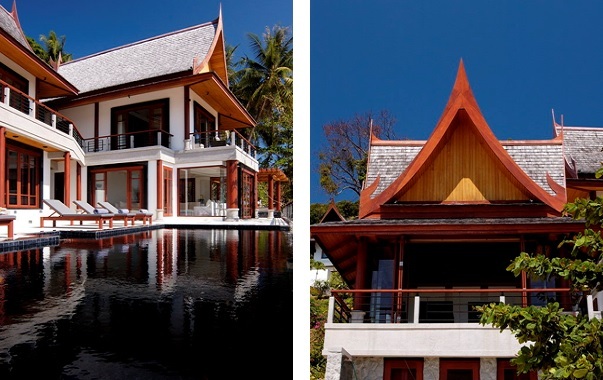 All 71 pool pavilions and villas are designed to evoke the personality of a residential beach home – the Thai equivalent of a Hamptons summer retreat. Each features a private entry experience – be it bridge or gate and courtyard – that creates a connection between internal and external environments. Through plentiful floor-to-ceiling windows, each interior space blends seamlessly with the tropical surrounds, including outlooks onto private swimming pool, gardens, courtyard and ocean. Rather than adopting obvious Thai decorative elements in the rooms, motifs, materials and art tell a story that is at once local and subtly international. 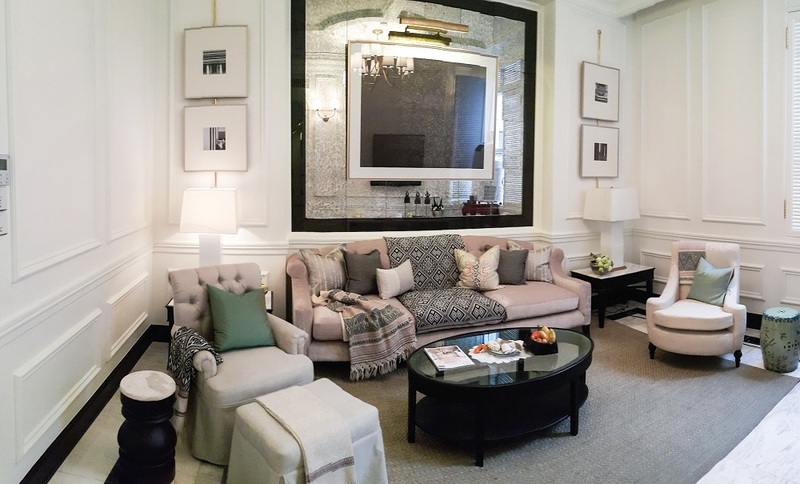 The artwork and accessories are reminiscent of an international traveler’s collection, with a uniquely Thai attitude, that has been accumulated over time with a distinctive eye and sophisticated mingling of influences. Mai poolside bar and The Shack rustic seafood eatery both feature recycled and raw materials, mixed with accents of color and detail that create a laid-back daytime atmosphere. Mai, a stand-alone pavilion, is screened by curtains of wood beads, while timber pallets with pulleys and exposed counter-weights form screen walls in The Shack. By day these two venues operate as separate, intimate environments. By night they transform and merge with the pool terrace to create one vibrant, expansive venue with sophisticated edginess. Ta Khai, the stand-alone Thai seafood restaurant, feels as if it has existed within a rustic fisherman’s village for generations – an impression accentuated by the layout’s deference to the sacred ficus and Banyan trees situated along the shoreline. However, in contrast to the cultural mix of Red Sauce, and the day-night transformative nature of Mai and The Shack, Ta Khai is layered. At its core are rustic open pavilions formed from carved timber posts and recycled corrugated iron. These raw structures appear to then have been updated with red fabric-sail roofs, insertions of steel and glass, and contemporary furniture and lighting. The effect is that of a series of spaces that have naturally evolved over time. At Asaya, the inaugural integrated wellness concept from Rosewood Hotels & Resorts®, the natural environment is the dominant element. Like the resort itself, with its series of pavilions Asaya is like a village blending into the landscape. Each Asaya component has its own sense of connection to the natural world with layers of privacy depending on the function of the space: the relaxation areas are screened outdoor enclosures, the walled Wellness Atelier overlooks charming herb gardens and treatment rooms are completely internalized with their own private courtyards. Preservation of the landscape and a focus on sustainability have been critical environmental and aesthetic considerations for the design team throughout the conception and construction of Rosewood Phuket. Passive environmental controls include large roof overhangs, green garden rooftops, shading and reflective colors, as well as the use of recycled and reclaimed materials in many parts of the resort. Photovoltaic cells hidden on rooftops create the largest solar panel system of any Phuket hotel. The multimedia art collection at Rosewood Phuket reflects the diverse cultural influences on the island and weaves quintessential Siam sensibilities into the design. Sculpturally, the majestic elephant at the hotel entrance, a water buffalo constructed from car parts in Ta Khai’s kitchen garden, the over-sized elephant bells strategically dotted around the resort, an enormous stainless steel compass inlaid into the beach lawn, and a fluid, bronze carp installation fittingly positioned by the swimming pool, become key sculptural moments in the guest journey, creating an accumulative experience of the island through artistic statements. 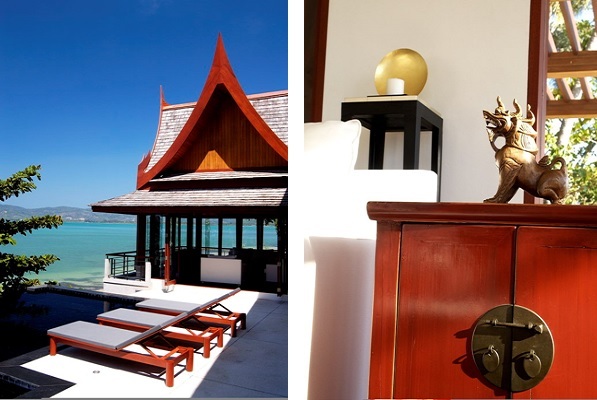 The new COSI Hotel on Samui island is now officially open and welcoming independent, tech-savvy travellers. It is as different from a traditional hotel as a new smartphone is from the mobile phones of the 90s. Centara completely re-thought what a hotel should be for the new generation of connected, freedom loving, pricey-frill-hating travellers. The result is an innovative and affordable lifestyle hub set in the middle of the shopping, eating, social and entertainment scene on Chaweng Beach. If it feels a little more like staying at the stylish home of a friend, and that’s the whole idea. “COSI represents a lot of new thinking about what a modern hotel can be, based on what’s important and what’s not so relevant for today’s, youthful-minded, smart travellers,” explains Harry Thaliwal, Centara’s General Manager and Corporate Director of Operations for COSI. “You can create a very fresh and unique place if you’re willing to throw out the usual conventions,” he adds. For starters, there’s no lobby counter or check-in queues. You can check yourself in and out at the digital self-service stations. COSI is designed to play well with the smartphones in the pockets of today’s travellers. You can book with your smartphone, check in with your smartphone, and play videos or catch-up with your latest boxset on your room’s 43-inch SmartTV screen, which can mirror your phone screen. Fast and free WiFi is everywhere. The hotel’s Hub is a 24/7 social and media playspace where guests can watch the game, grab a sip or a bite, and connect with friends. You get free daily credits to use for food and drink any time you want at the integrated WYSIWYG (What You See Is What You Get) Café. 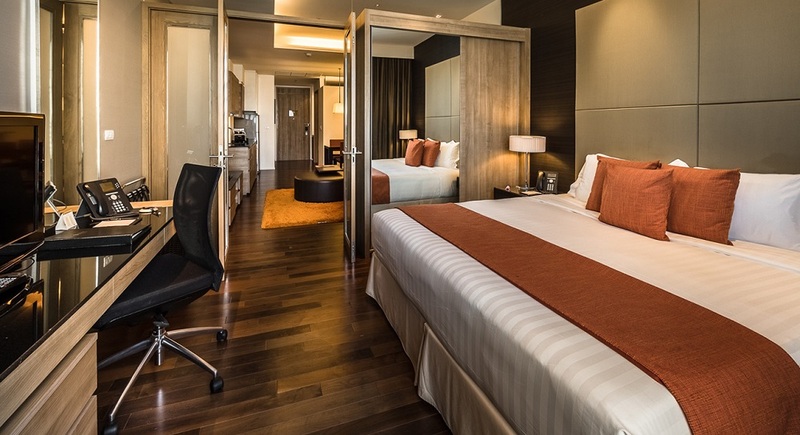 COSI’s 150 rooms are clean and streamlined. In addition to the hi-tech TV, they feature mega comfy king or twin beds, powerful showers, digital safes and fridges. Each room even has five USB ports so guests can recharge their devices without worrying about converters. 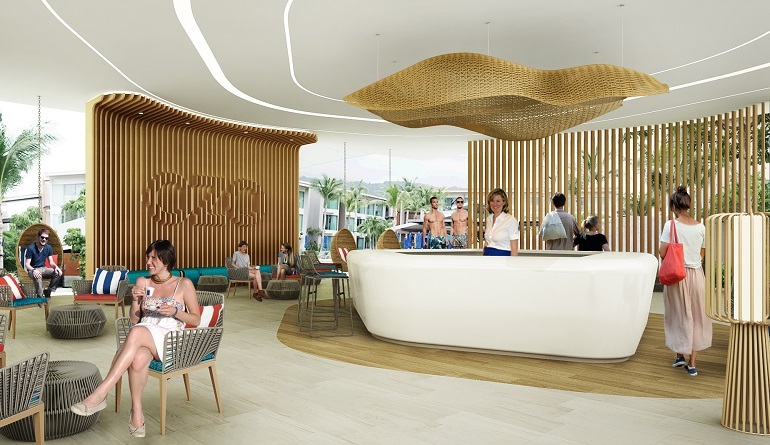 ONYX Hospitality Group continues its portfolio expansion with the introduction of OZO Phuket in Thailand. 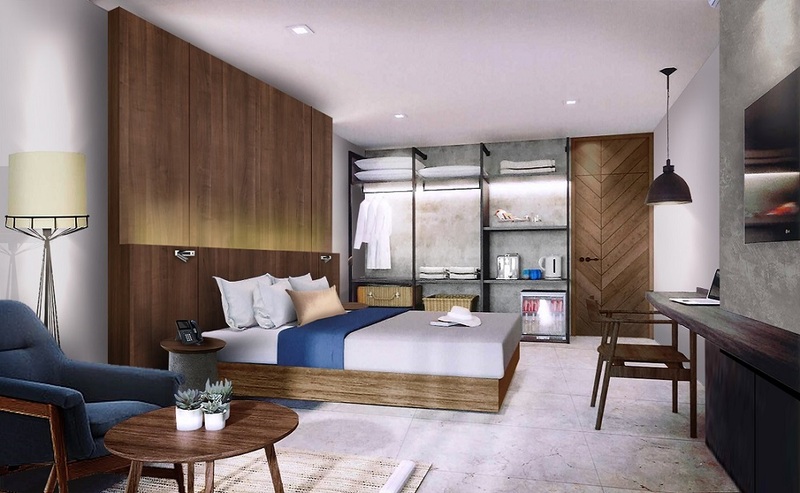 Currently under development and scheduled to open in mid 2019, the hotel will offer 255 guest rooms and features which deliver the midscale OZO brand’s hallmarks of sleep, connectivity and exploration. 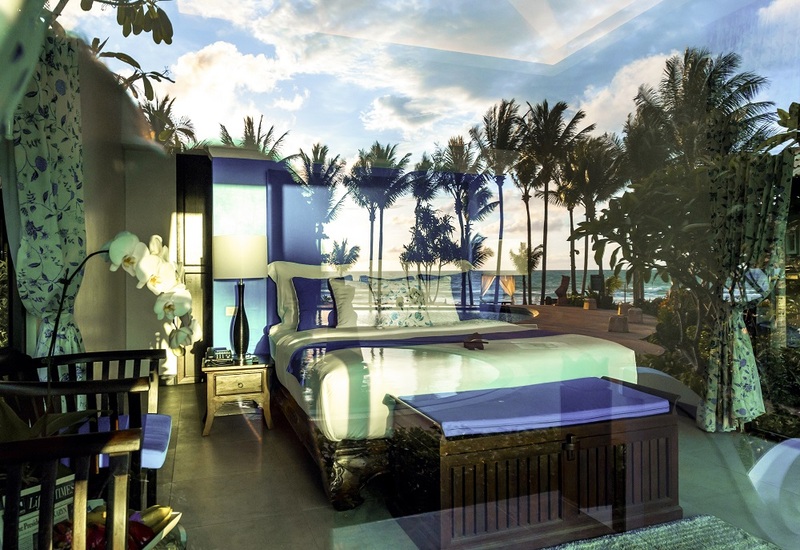 Located a short walk from the Kata beachfront on the western coast of Phuket, the hotel will offer guest rooms specifically designed for enhanced sleep, smart connectivity of personal devices in rooms and public areas, and curated destination tips by team members presented through interactive digital panels. 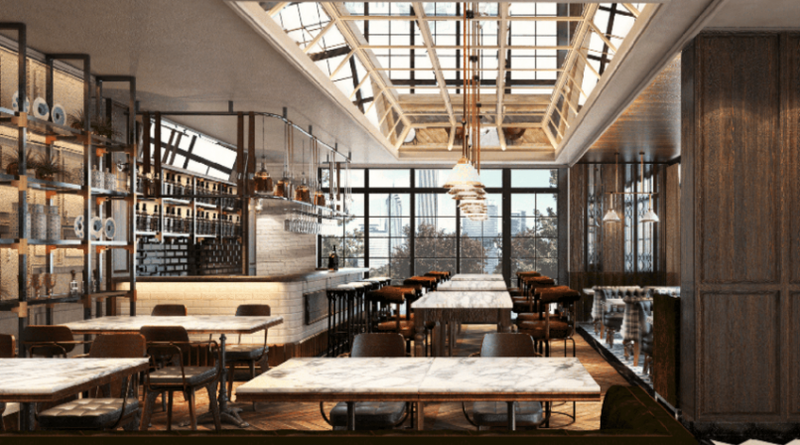 The hotel will also feature the brand’s signature EAT all-day dining restaurant best known for energising breakfasts, the EAT2Go grab-and-go deli, TONE fitness centre and TALK meeting room. A unique highlight of OZO Phuket is its two separate pools – an activity pool designed for kids adjacent to a free-form main pool. 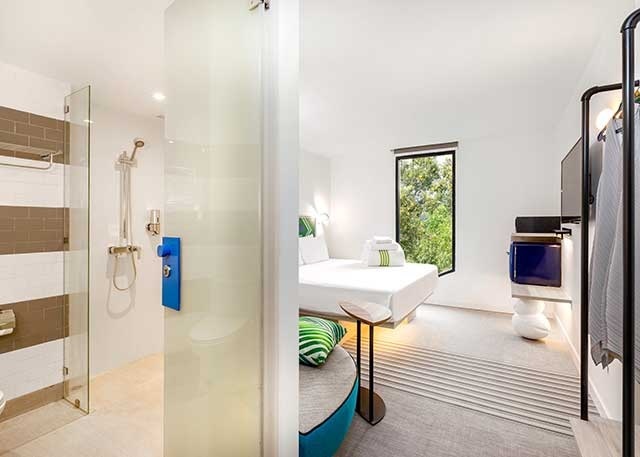 The brand is a smart, simple and savvy midscale hotel brand offering an enhanced sleep experience and seamless connectivity for travellers who are keen to embark on a deeper exploration of the destination. 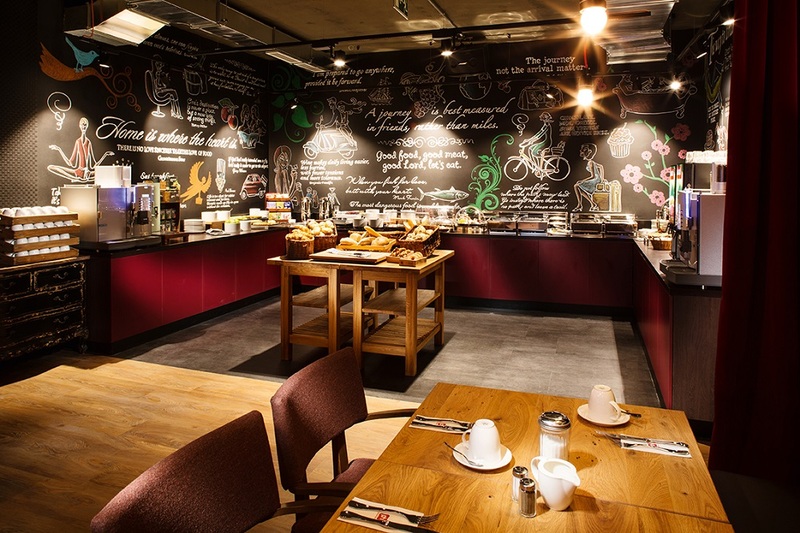 Since the opening of the first OZO in Hong Kong in 2013, the brand has generated consistently positive feedback and continues to exceed midscale accommodation expectations. 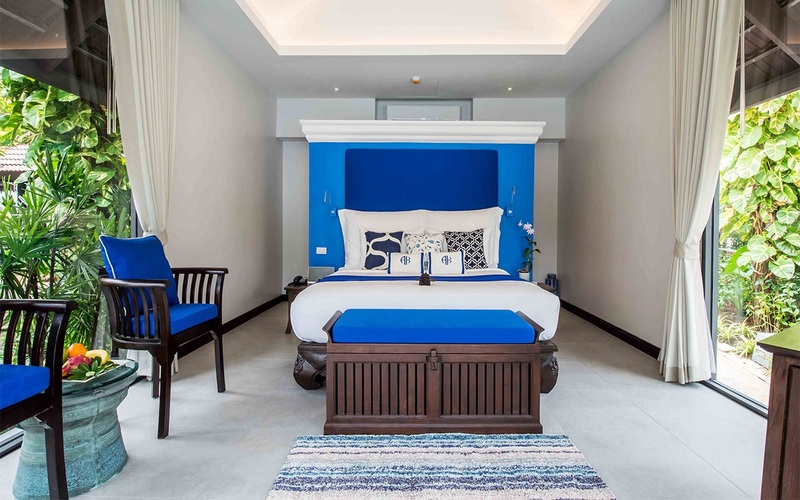 OZO is currently available in Hong Kong, Koh Samui, Colombo and Kandy, with new hotels being developed in Hoi An, Pattaya, Phuket, Johor, Penang and Xiamen. Early 2018, the iconic AKARYN Hotel Group, will further expand its diverse range of luxury hotels and resorts, with the launch of the highly anticipated akyra Sukhumvit Bangkok. This boutique city hotel located in the happening hub of Bangkok will be made up of swanky rooms designed for admiring the city’s captivating landscape and an extensive rooftop terrace for enjoying cocktails and entertainment through the day and into the night. 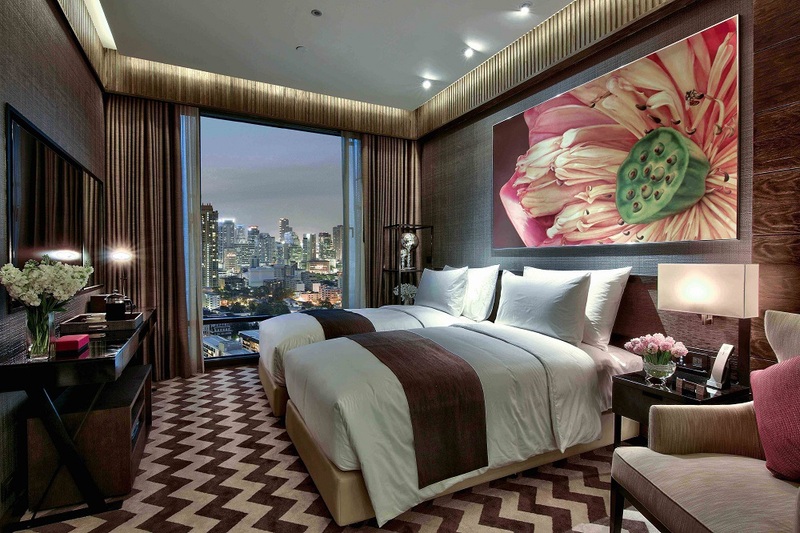 The latest addition to the three akyra sister properties, akyra Sukhumvit Bangkok will offer re-imagined urban accommodation for savvy travellers in the heart of the Thai capital’s most dynamic city. The akyra Sukhumvit Bangkok is well located on Sukhumvit Soi 20, an area known for its buzzing atmosphere, green recreation spaces and fine dining. The 50-room akyra Sukhumvit Bangkok will offer guests generous accommodations with incredible cityscape views only found in Bangkok. This downtown property will boast an upscale rooftop space, where guests can sip craft cocktails at the pool bar and relax on stylish sun loungers and cabanas, all perfectly positioned to take in dramatic panoramas of Bangkok’s modern architectural design. Open to guests and outside visitors this spacious rooftop terrace (100-person capacity) is destined to be the city’s hotspot for after work sunset drinks or a glass of bubbly before I night out on the town. The rooftop will also be available to host memorable gatherings, private dinners and VIP receptions. 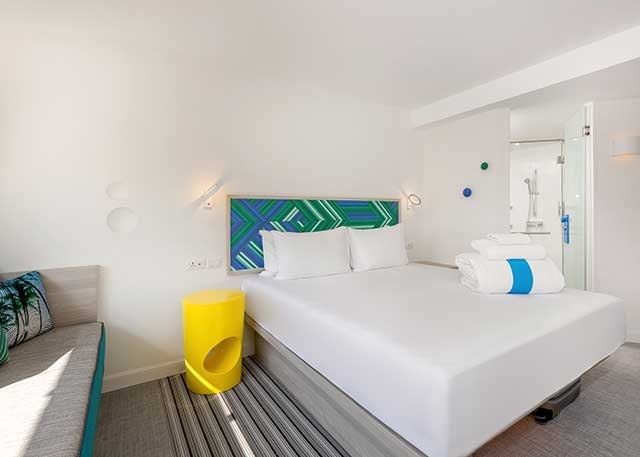 This hotel aligns perfectly with the akyra brand; defined by smart technology, funk, flair, experimental approach to design, all within trendy locations where the young at heart intersect and connect. The akyra hotels are designed for travellers looking to make the most of Asia’s most diverse and culturally rich country. Each of akyra’s four, distinct five-star hotels are founded on akyra’s brand ethos whilst reflecting unique regional tradition. Every property offers experiences and activities designed to allow guests to interact with the area’s surrounding history and culture – far from a cookie-cutter experience. The launch of akyra Sukhumvit Bangkok at the beginning of 2018 follows the recent opening of akyra Thonglor Bangkok – another stylish property comprising 148 studios and one- to three-bedroom suites located in Thonglor, Bangkok’s fashionable district renowned for its contemporary culture and creative cuisine. 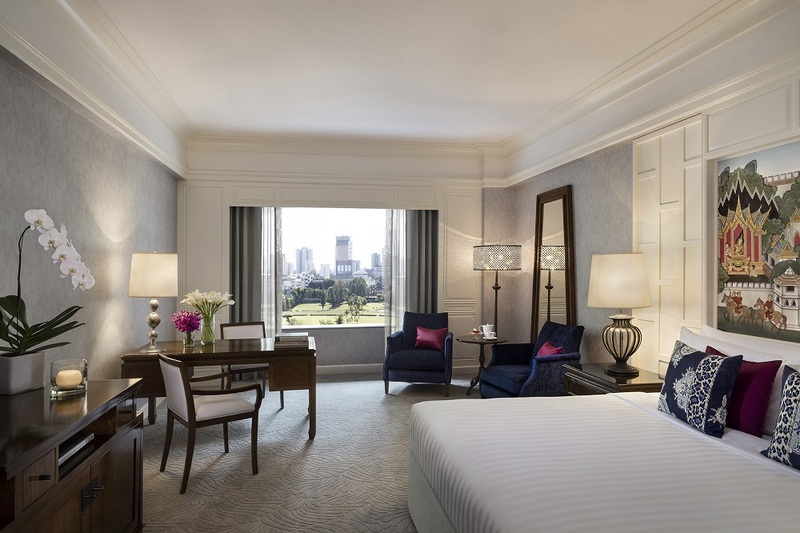 The Luxury Collection Hotels & Resorts has announced the reopening of The Athenee Hotel in Bangkok following an extensive renovation and transformation into a Luxury Collection hotel. 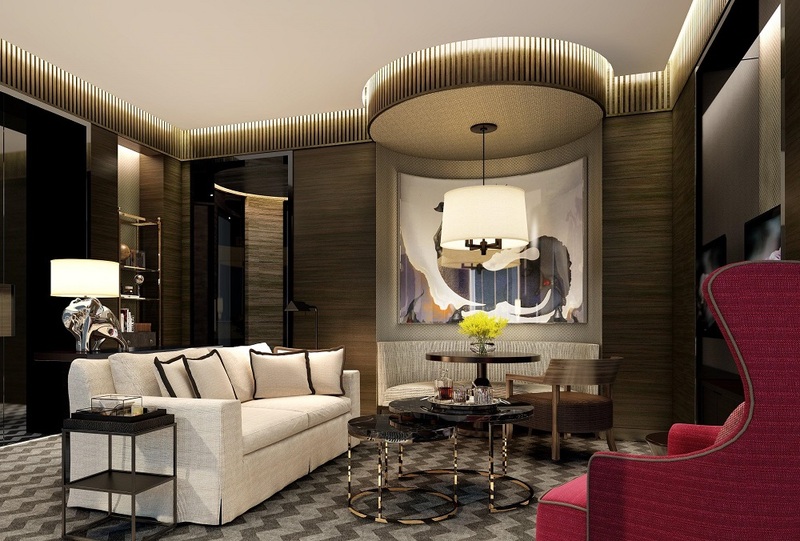 The Athenee Hotel will offer global explorers a gateway to the inspiring history and culture of Bangkok through the lens of The Luxury Collection, a glittering ensemble of world-renowned hotels and resorts delivering unique, authentic experiences. Formerly known as Plaza Athenee Bangkok, the newly restored Athenee Hotel, a Luxury Collection Hotel, Bangkok, stands on the grounds of the Kandhavas Palace, former royal residence of Princess Valaya Alongkorn. A homage to its regal lineage, the hotel’s opulent re-design is a modern take on traditional Thai design elements with a distinctly European flair. With the opening of Athenee Hotel, The Luxury Collection continues its commitment to celebrating the heritage of the world”s most iconic hotels through meticulous restoration projects that pay tribute to local indigenous charms and treasures. 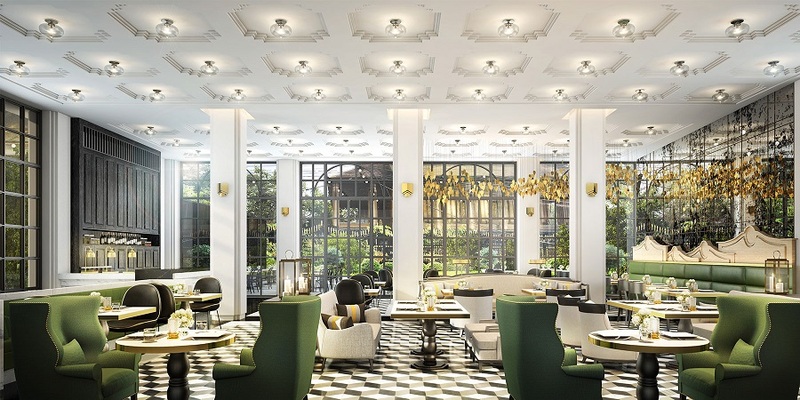 Overseen by interior design firms Vekhin Interior and Bangkok Dec-Con PLC, The Luxury Collection’s multi-million dollar renovation of The Athenee Hotel will bring to life Bangkok”s roots in an authentic and indigenous way. 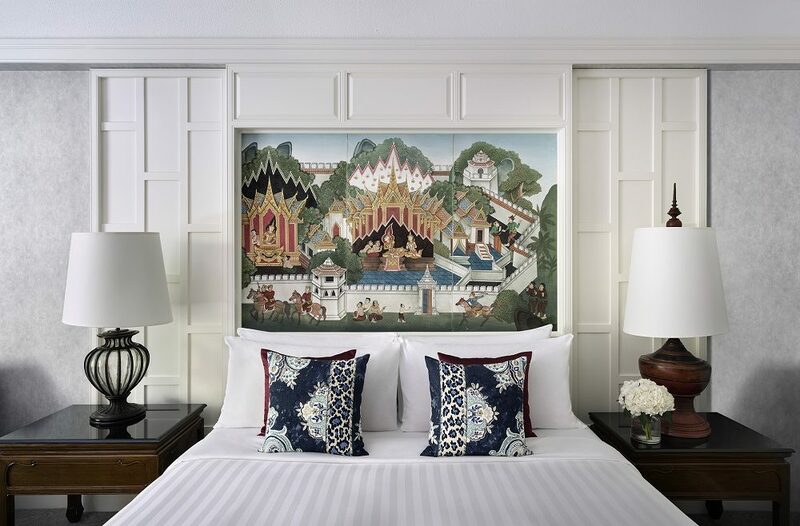 The redesign incorporates many aspects of the Thai colonial style of the princess” lifetime, from the influence of Thai royal ceremonies in the Royal Club guestrooms and Athenee suites to the carefully selected color palettes and artwork for the interiors. In addition to the refurbishment of common spaces and all 374 luxurious guest rooms, The Athenee Hotel’s transformation includes a newly redesigned city-lagoon styled swimming pool area. Skillfully merging the outdoor pool area with an indoor function space inspired by the timeless style of Kandhavas Palace, the designers have created a distinctly Thai venue for leisure and relaxation. Guests will also have several food and beverage options to enjoy, from the popular Smooth Curry restaurant to The Glaz bar, whose timeless neo-colonial décor celebrates the hotel’s location on the site of a former royal palace. 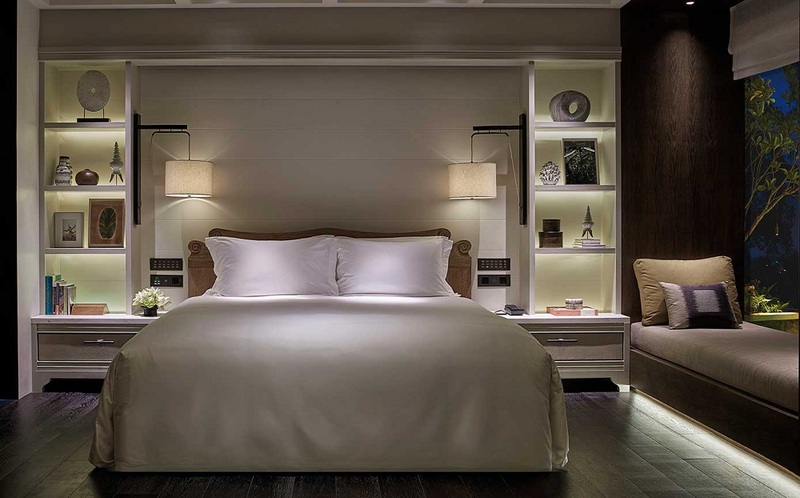 Anantara Siam Bangkok Hotel has unveiled its new contemporary Thai inspired guestrooms, offering discerning leisure and business travellers even more luxurious style at the brand’s Thai flagship property. Designed by Jeffrey A. Wilkes of LTW Designworks, who is recognised for his ability to blend cosmopolitan influences with tradition, the new interiors of the Deluxe and Premier guestrooms inject a fresh sense of luxury by infusing a more contemporary aesthetic, greeting guests with a subtle Thai character remaining true to the ethos of the Anantara brand. 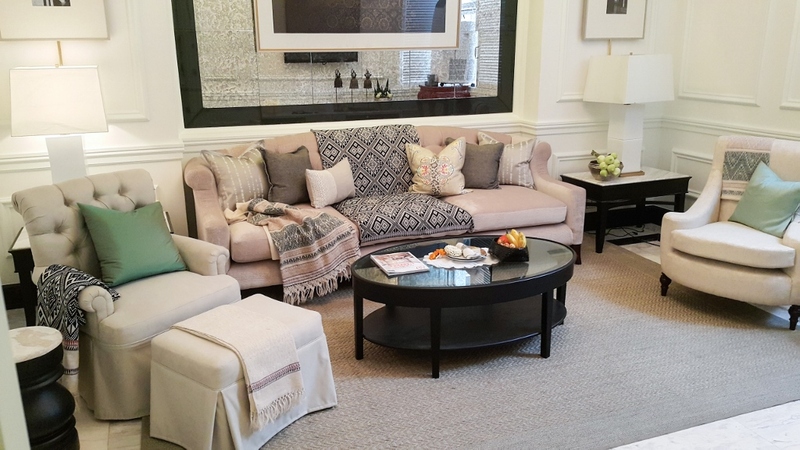 Using elegant regional undertones, typical Asian details were eschewed with the design instead paying homage to Thai palaces that have been constructed with European influences. Thai silk has been used as wall panels to give a simple and elegant finish, a refined reflection of Thailand, and an antique map of Bangkok in the Deluxe rooms provides an interesting conversation piece. 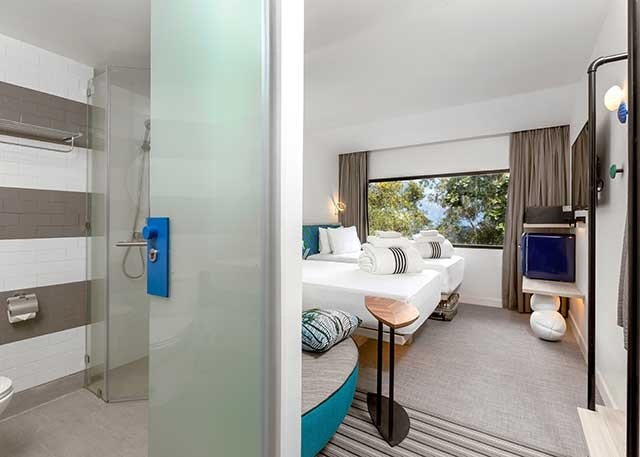 The 307 new 42 square metre Deluxe and Premier guestrooms in one king size bed or two double beds configurations can accommodate up to three adults or two adults and a child, and feature an en-suite marble bathroom with a deep soaking tub and separate glass enclosed shower. Four room categories are available: Deluxe Room; Deluxe View Room; Premier Room; and Premier View Room. 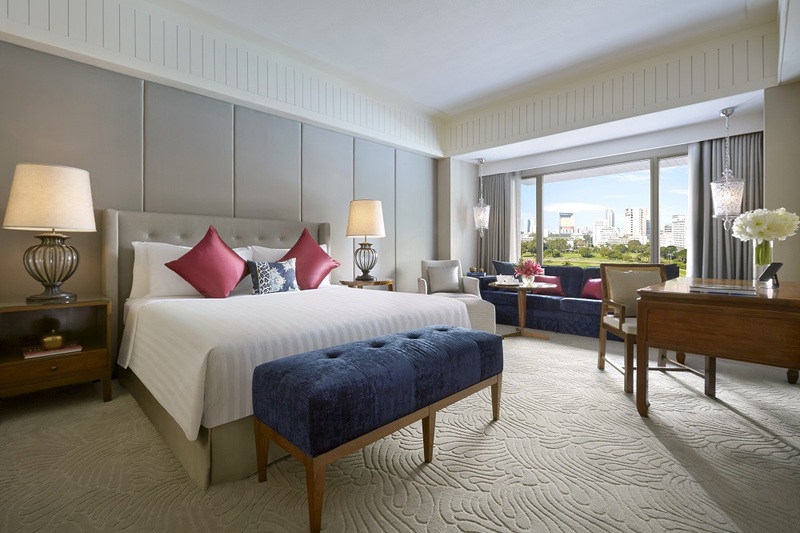 The View category rooms’ expansive windows reveal the hotel’s magnificent tropical gardens; swimming pool; or the immaculate private golf course of the Royal Bangkok Sports Club in the heart of one of the world’s most enigmatic capital cities. 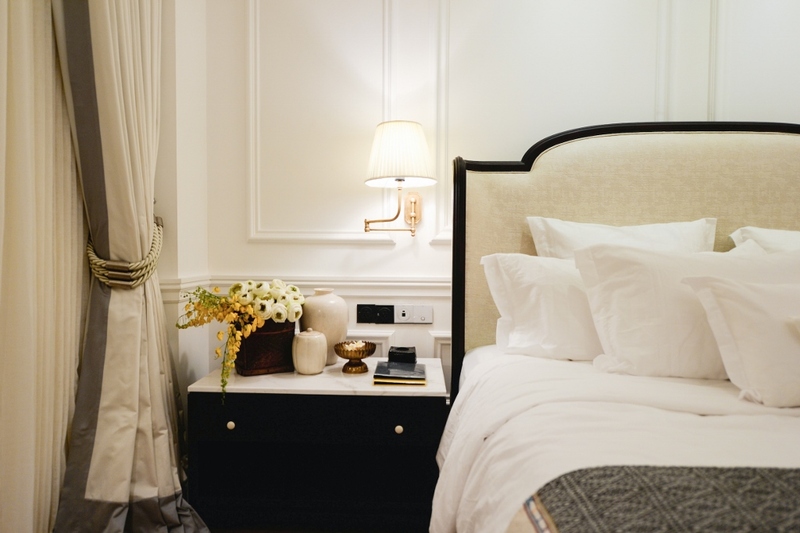 The refurbishment of its Deluxe and Premier guestrooms completes a THB 470 million project that also saw the upgrade of Anantara Siam Bangkok Hotel’s suites and public spaces. 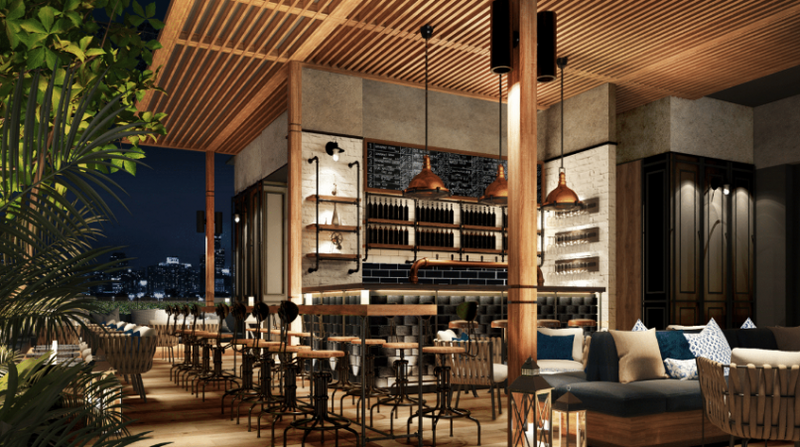 An innovative hospitality concept for savvy millennial travellers called Haven’t Met is launching its flagship hotel in Bangkok, Haven’t Met Silom. The hotel offers modern travellers a choice of unique and engaging destination experiences supported by a custom travel app. 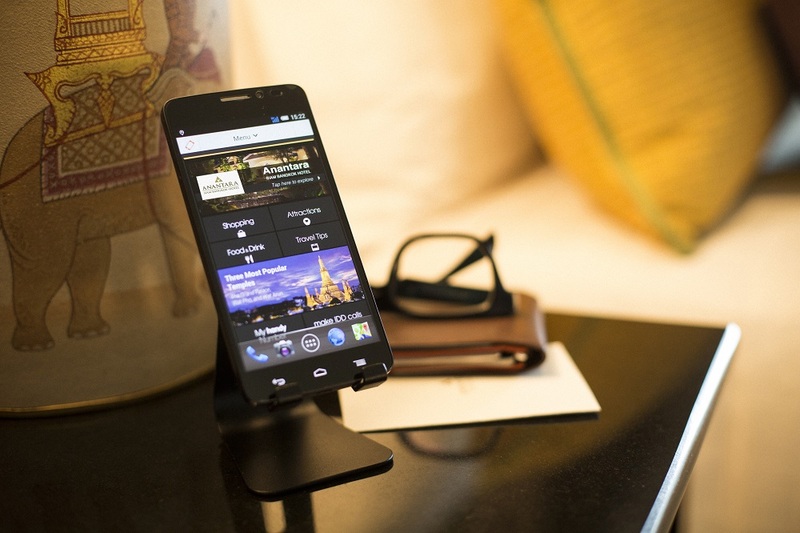 The hip new technology driven brand offers comfortable yet practical city stays with integrated technology that connects guests with each other and the city using a dedicated app and complimentary use of 4G connected, interactive in-room tablets. The tablet comes pre-loaded with a local area map, hotel directory, restaurant and room service menus, as well as music streaming via JOOX, and a dedicated chat room for guests to chat with each other about the best locations and activities on offer around town. Haven’t Met Silom seamlessly incorporates all these highlights through its app so that guests can share ideas and inspirations before, during and after their trip. The technology gives them 360-degree insights into what the destination has to offer, and the hotel supports this with a choice of unique, guided urban travel experiences that can be booked directly on the tablet. Anayara Resorts, owned by Pacific Media Management Group Limited and Anayara Resorts Holding Limited , a Hong Kong-based adult-only ultimate luxury retreats and luxury boutique resorts brand revealed its first property Anayara Luxury Retreat Panwa Resort, a beachfront retreat estate scheduled for soft opening by December 2017 and followed by its second property Anayara Luxx Panwa, a luxury boutique resort by Q1 2019. 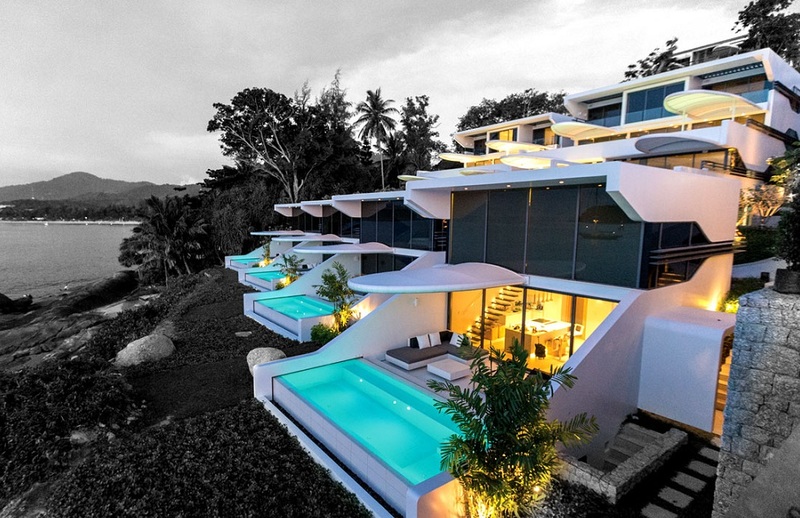 The property is an ultimate luxury beachfront retreat estate project undertaken by the East West Architect and Phuket’s own Padcha Sakulspitch. Positioned in the most sought-after location on the island, Anayara Retreat Panwa offers complete privacy and attention-to-detail design. The hotel has been designed with the Boran Thai mixed with modern contemporary architecture in mind, and features 6 spacious suites with more than 100m², the intimate character, boutique style and award-winning architect design, eco-friendly innovations combine the ultimate tranquillity of a holistic retreat with a uniquely luxury retreat vibe. With its infinity beachfront pool and unique plunge pool for it main pavilion suites. All suites have their own abundant individual living space with finest wood flooring and antique local decor and walk-thru cabinet, vast en-suite bedrooms, spacious en-suite bathroom with separate grand chromotheraphy rain showers, standing bath tub, free standard daily refill mini bar and daily exotic tropical seasonal fruit trays, branded linens, duvet from the finest Egyptian cotton 500 treads by Brooklinen, a complete Bang & Olufsen and Lutron Integration System – stylish, amenities – including Netflix and Apple iPad’s Air Control for each suite. 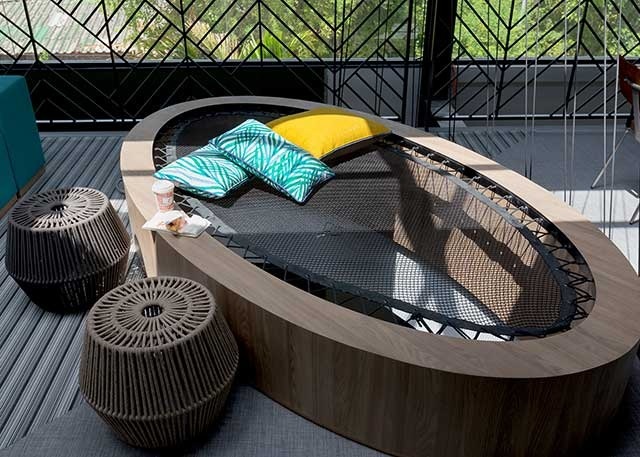 pentahotels, the design-led and neighbourhood lifestyle brand, today announced a new management agreement with The Nest Property Company a subsidiary of PM Group, to open the first pentahotel in Bangkok, Thailand in 2020.
pentahotel Bangkok, Ploenchit, will be located in Lumpini in the central business area of Bangkok. The announcement marks the first official step in pentahotels’ expansion in Southeast Asia, building on the brand’s plans to open its second Hong Kong property in Summer 2017. 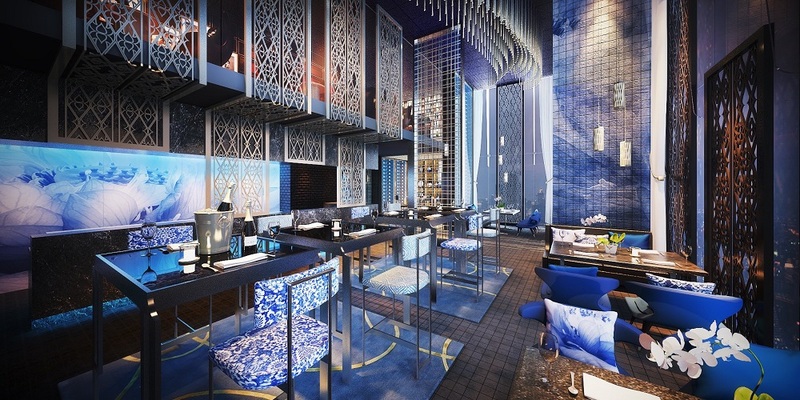 As a new build property, tailored to pentahotels’ design standards, it will feature the brand’s hallmark design-led environment, including the signature pentalounge, a new-concept reception area that combines function with entertainment, welcoming guests to relax and socialise around a stylish bar. The hotel will also feature 157 guestrooms, a swimming pool and gym. Located close to many large shopping outlets, high-rise offices and the Lumpini park, pentahotel Bangkok will offer business guests and leisure travellers alike the perfect window into the capital’s modern, vibrant and tropical lifestyle. 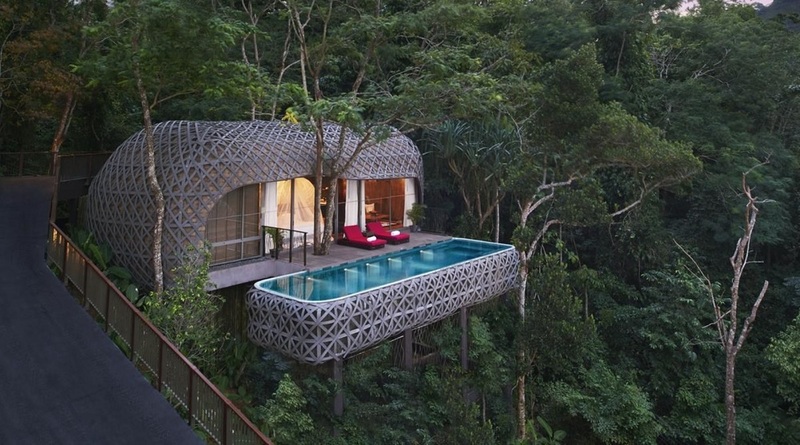 Travellers can now live the luxury treetop dream with a little help from the Hotels.com. Loved by guests awards and the millions of genuine guest reviews they’re based on, ten amazing hotels have been crowned winners in the brand new Best for Treehouse category, and they’ll be climbing straight to the top of your wish list. Review Rating: 4.8 out of 5 on Hotels.comIf you’re looking for a secluded romantic getaway, this is the place to be. This resort is a hidden gem with quirky features and fun at every turn. The treehouses are held on cedar logs, surrounded by beautiful greenery and destination themed, so guests can stay in Venice, New York, Santa Fe and Paris. 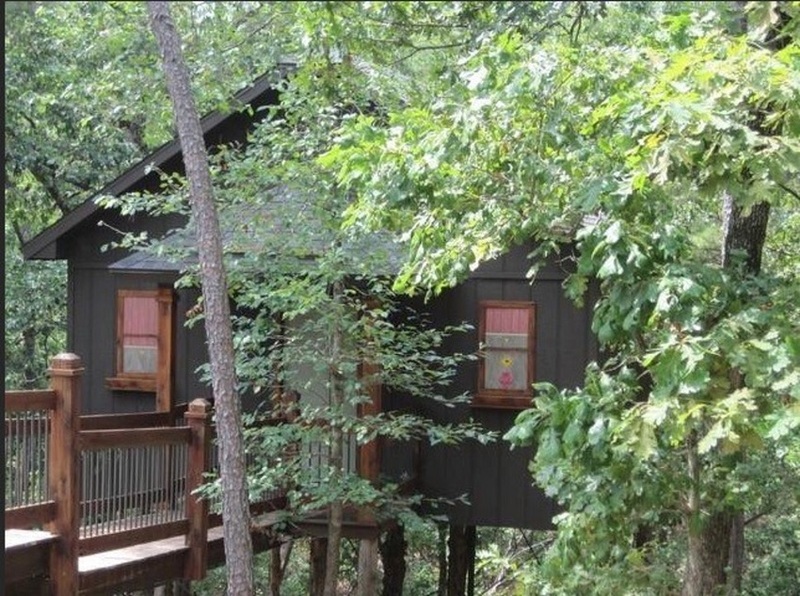 If treetop life isn’t for you then fear not, as Eureka Springs also offers stays in fairytale castles, with hidden passages and Jacuzzi towers, and guests can even check in to enchanting hobbit caves that are like magical cocoons. Rate Available upon request. 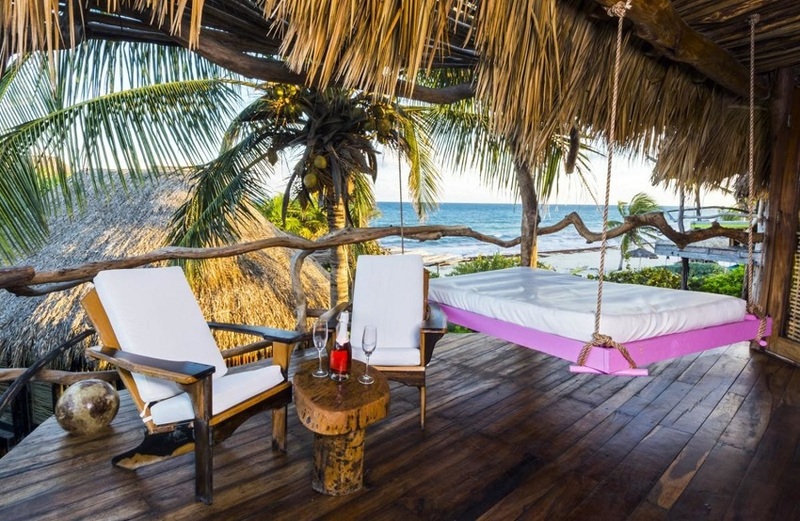 Bring out your inner child and swing above the turquoise sea of Tulum, all from the privacy of your own villa at this luxurious beach hideaway. 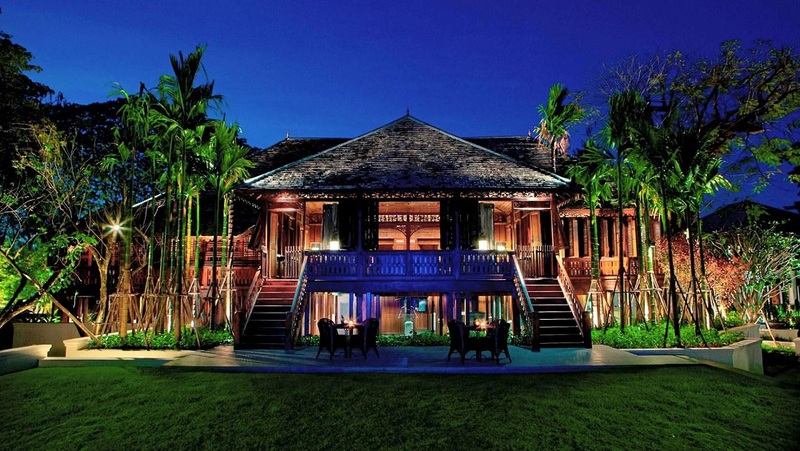 Azulik is a celeb spotting hotspot, but its biggest draw is the stunning villas. 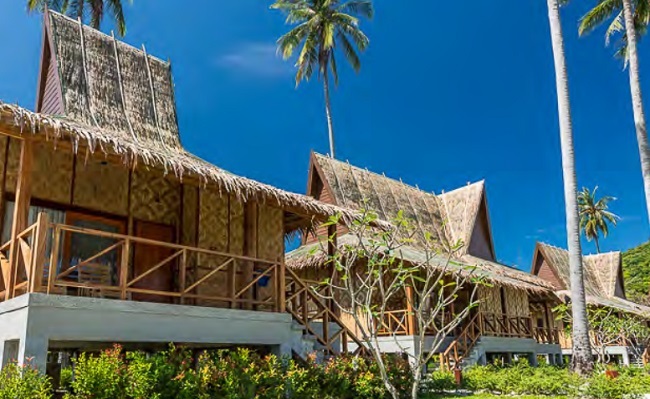 These wooden-crafted abodes feature spectacular water views, outdoor mosaic bathtubs and a deck with a swing and hanging Balinese bed. Guests can enjoy fine dining and entertainment with a 12 course tasting menu at the Kin Toh restaurant that’s built 12 meters above the Mayan jungle, all while watching artistic performances. Fancy taking a dip on the edge of a cliff in your own 30-meter infinity pool? You can do just that at these gorgeous Bird’s Nest treehouses on stilts, located just 40 minutes from Phuket. Keemala is an enchanting evergreen wonderland, and these unique villas feature giant monsoon showers and freestanding bathtubs that have amazing views over the rainforest. Beach luxury, spa treatments, sunset cocktails and champagne picnics are also all on the menu at Keemala. The Tree Hotel has upped the style stakes with its quirky, custom designed eco-treehouses. 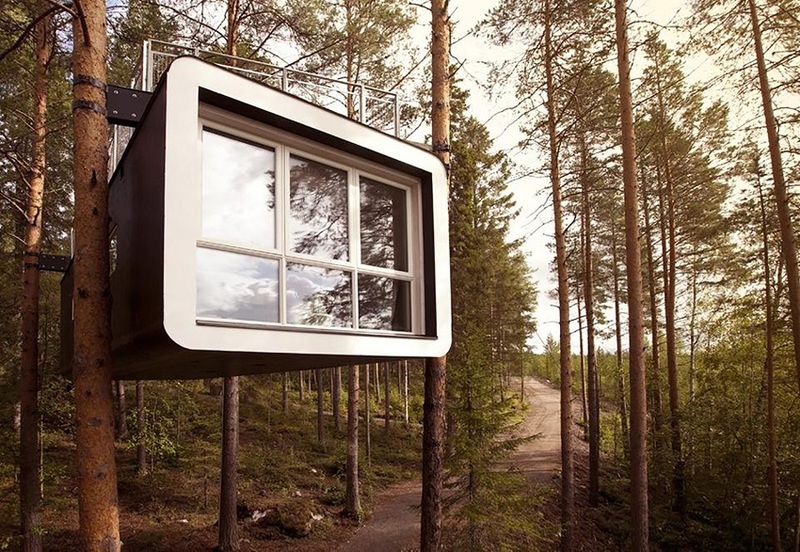 Imagine sleeping amongst the tall pine trees in a Mirror Cube, a Bird’s Nest or a UFO! Treehouses come complete with their own private giant hammock, so you can stargaze and seek out the Northern Lights. Guests can relax in the tree sauna, enjoy some authentic homemade Swedish food or zip line over Swedish Lapland and the Lule River for some exclusive and spectacular views. 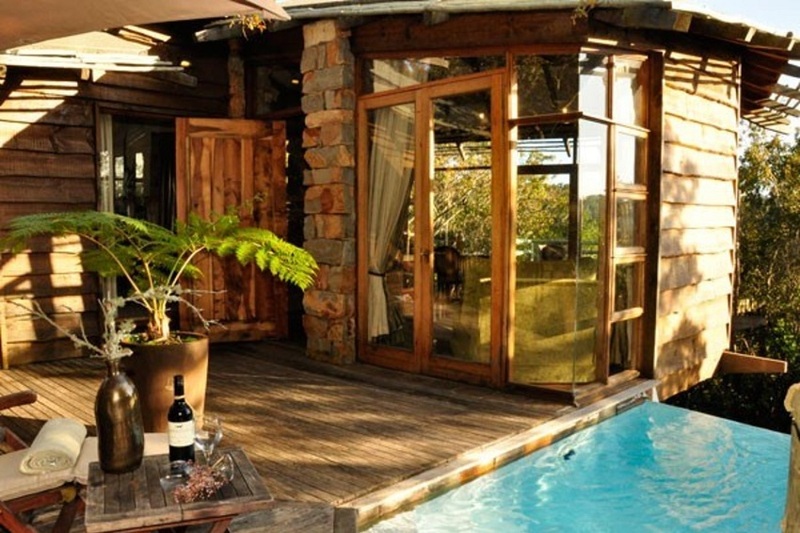 High in the treetops, this hotel hideaway is set in the wilds of South Africa, in the heart of the Garden Route. With breath-taking views and a mystical charm, the treetop suites are pure luxury. They come complete with their own private spa bathrooms, fireplaces and even infinity pools. 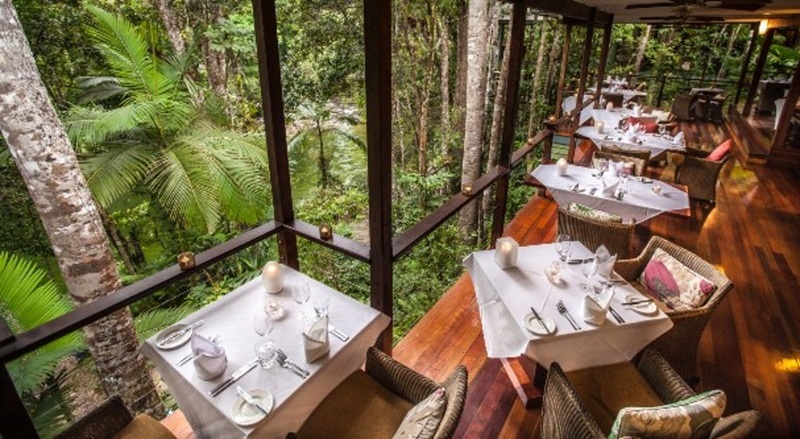 The hotel also offers a unique dining experience from a special dining deck suspended above the forest floor, where you can enjoy a sumptuous breakfast or a lazy lunch. Imagine a rejuvenating spa experience in one of the world’s most ancient rainforests. Located along the Mossman River, Daintree Rainforest and Great Barrier Reef – there are rainforest walks, crystal waterholes and a billabong beach, all at your disposal at this hotel. The luxury treehouses have large verandas and hammocks, perfect for unwinding in the heart of the rainforest canopy. Guests can also enjoy dinner in their open-sided treehouse restaurant. 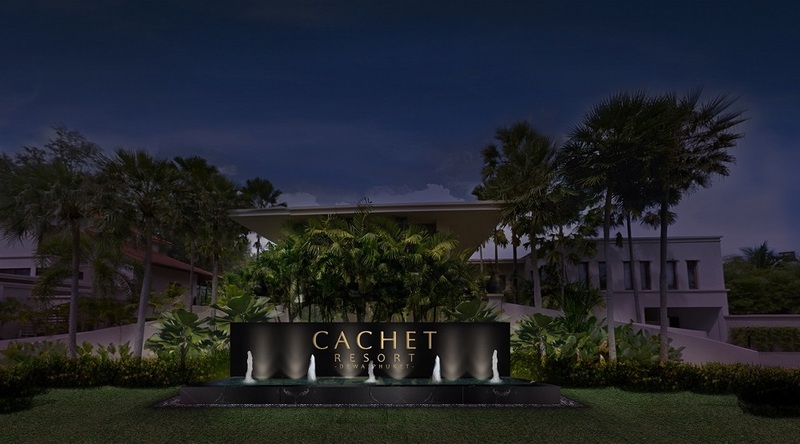 Cachet Hospitality Group has announced the signing of a management agreement for Cachet Resort Dewa Phuket, a conversion property owned by R&B Partners. 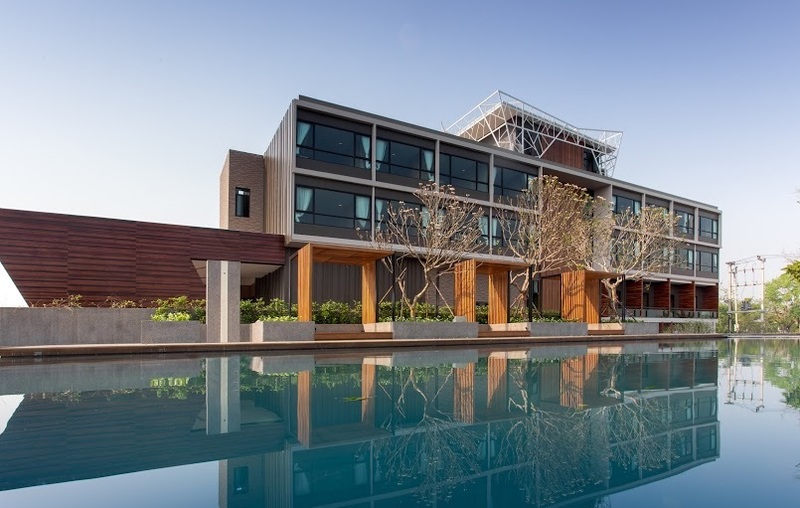 Located on Thailand’s largest island, the hotel marks the company’s second resort property and adds to Cachet’s expanding portfolio in Southeast Asia, following on the heels of the recently announced SAVANT Vela Hotel – Bangkok. Operations as a CHG managed property will begin May 2017, with interior renovations to be completed November 2017, helmed by Cachet Interior Design (CID). 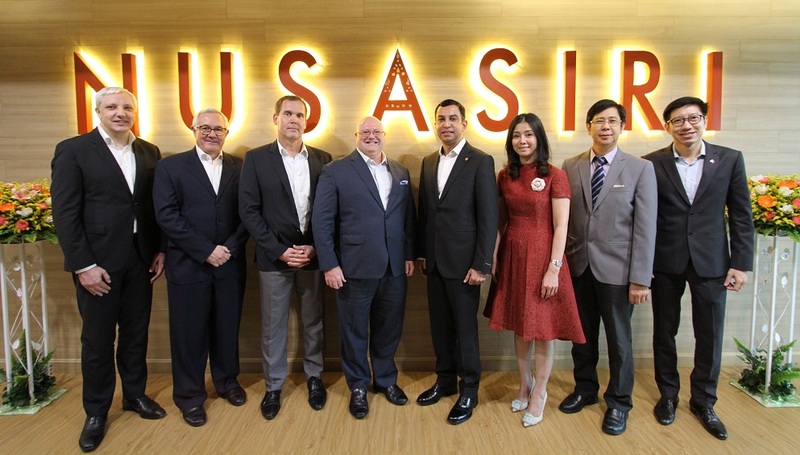 Dusit International has signed a hotel management agreement with Dhanasansombut Development to operate the first ever hotel in the heart of Bangkok’s world-famous Chatuchak Market. 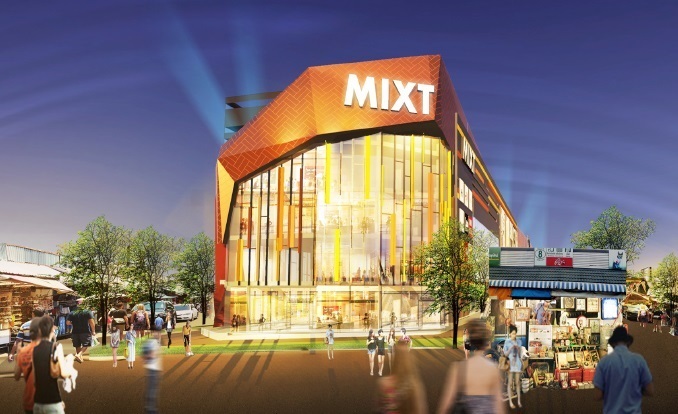 Forming part of Dhanasansombut’s new mixed-use development, Mixt Chatuchak, the new hotel will comprise approximately 250 rooms. Chatuchak Market, also known locally as Jatujak or JJ, is located in the north of the city next to Chatuchak Park, one of Bangkok’s largest green spaces, and near Or Tor Kor, recently named one of the world’s best fresh markets by CNN. Continuing the company’s series of firsts, Dusit International recently became the first hotel operator in Thailand to to accept WeChat Pay, which allows Chinese guests to pay their hotel bills via the mobile e-payment platform initially at Dusit’s owned properties in Thailand, and soon its other properties around the world. Deutsche Hospitality has signed an agreement for its first hotel in Thailand. 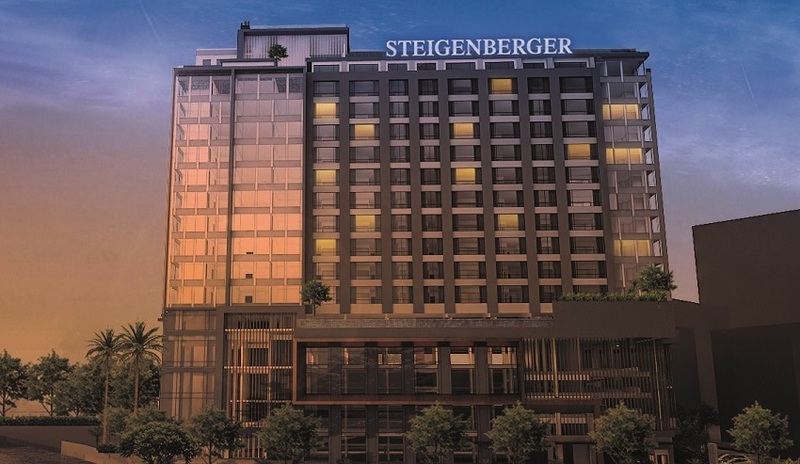 The five-star Steigenberger Hotel Riverside will open in the capital city of Bangkok in 2019. It will offer 259 rooms, including deluxe rooms, suites, superior suites, honeymoon suites and a Presidential Suite. Its conference and banqueting facilities will extend over an area of 900-square-metres. The hotel’s gastronomic concept will boast features such as a pool restaurant, a roof terrace bar and restaurant and a VIP lounge. A generously proportioned 1,200-square-metre spa and gym area will contain both an indoor and an outdoor pool. The hotel will also have a landing stage to enable guests to undertake tours by shuttle boat. 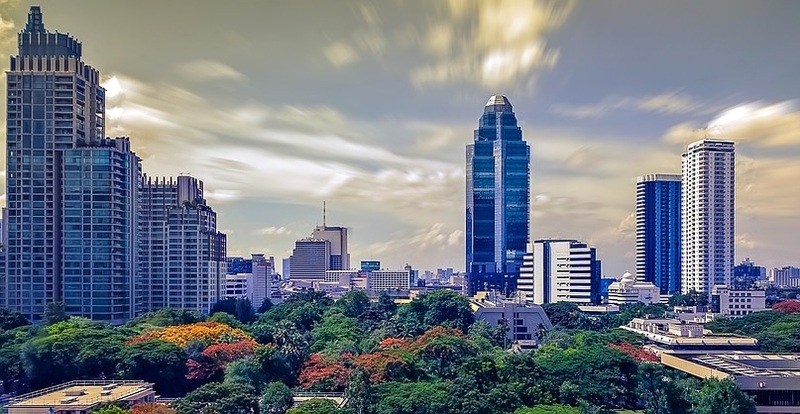 Bangkok has over eight million inhabitants and is both the capital and largest city in Thailand. It represents the political, economic and cultural centre of the country and is also Thailand’s most important transport hub. According to the MasterCard Global Destination Cities Index, which ranks cities by overnight visitor arrivals, Bangkok was the most popular city destination in the world in 2016 with over 21 million international visitors. 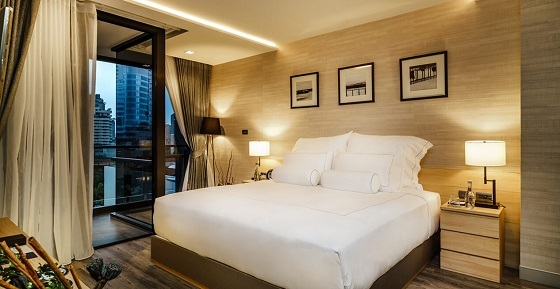 The Steigenberger Hotel Riverside occupies a position which is both quiet and central, directly on the banks of the River Chao Phraya within the immediate vicinity of the city’s main sights. The hotel will be operated via a management agreement. The property owner and contractual partner is the Thai company River Garden. Hua Hin’s most exciting new opening, Ananda Hua Hin Resort & Spa is to open on 1 April 2017, featuring a collection of elite private beachfront pool villas expected to set a new high watermark for privacy and exclusivity in the royal destination. 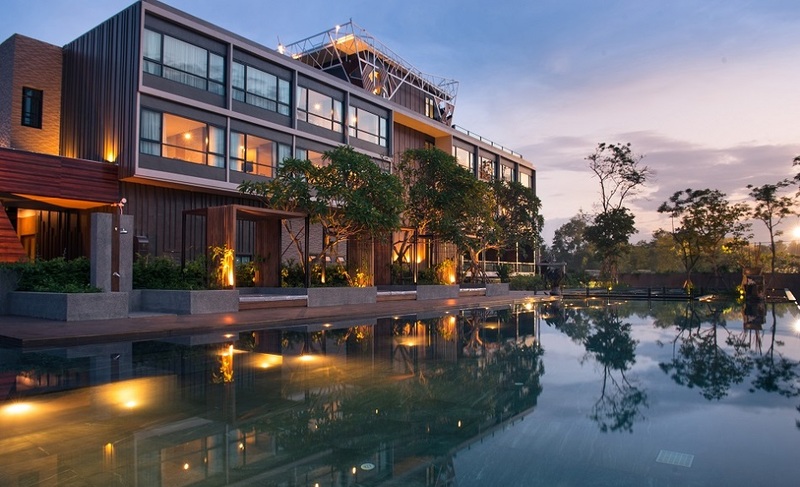 The new high-end brand by Compass Hospitality adds to its existing of three brands – Compass, Citrus, Citin – and marks its 42nd managed property across its operating markets in Thailand, Malaysia and the UK. 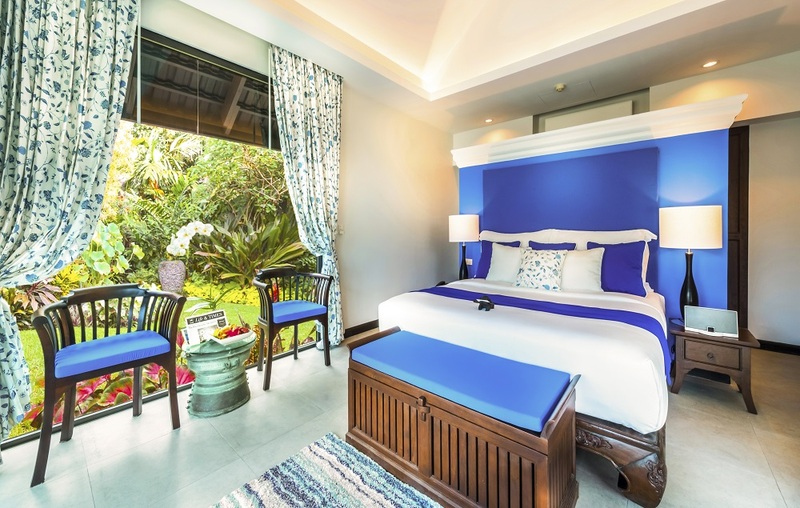 The eagerly awaited new property, led by veteran hotelier Nigel Tovey, will feature the Ananda Pool Villa Collection, a cluster of luxurious private accommodation options with creative indoor and outdoor spaces ranging from 188 sqm to 268 sqm in size. Decorated in light, soft tones, the villas open onto lush gardens, private pools and each one comes with its own private entrance. A strong sense of individualism pervades the star-quality villa collection with unique experiences delivered via Ananda’s “Check-in, Bliss-out” concierge, offering everything from impressionist watercolour painting classes to a videography programme, private beauty menu and a selection of elegant classic cars to choose from to traverse the nearby hills, travel to the golf course or visit local vineyards. 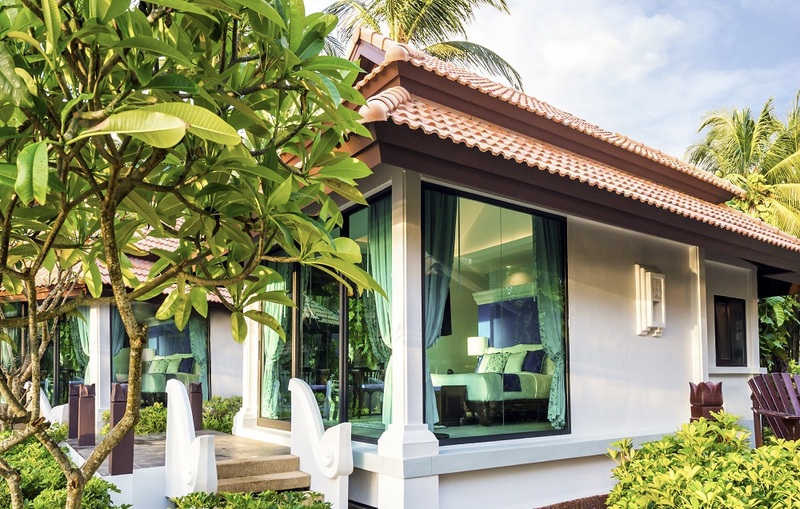 The entirety of Ananda Hua Hin encompasses 196 rooms, cleverly divided into three distinct areas. The 23 pool villas are closest to the beach and there’s a dedicated family area featuring an expansive pool and the Submarine Kids Club. Housed in the grounds will also be Hua Hin’s largest ballroom, with 900 sqm of flexible function space, including a range of customisable floor plans, state-of-the-art audio-visual and inspired menus catering to domestic and regional corporate events and weddings. Dusit International is pleased to announce that Dusit Fudu Hotels and Resorts has signed a management consultancy agreement with Nanjing Shangqinhuai Construction Development Company Limited to manage The Dusit Thani Wetland Park Resort Nanjing, Jiangsu, a luxury international resort in the capital of Jiangsu Province. Anticipated to open late 2017, the resort is located within Nanjing Shangqinhuai Eco Wetland Park, approximately 30 minutes by car from the commercial centre, and 20 minutes by car from the high-speed train station and Nanjing International Airport. Nanjing city is located one hour from Shanghai by high-speed train. Alongside 110 villas and rooms, the Dusit Thani Wetland Park Resort Nanjing, Jiangsu, will feature a 300sqm meeting room with the latest audio-visual facilities, suitable for private events and business meetings. A Thai-inspired spa will provide a full range of wellness programs, while dining options will include an all-day dining restaurant, a Chinese restaurant and a rooftop garden restaurant. For recreation, there will be a gymnasium, swimming pool and kids’ club. 137 Pillars Suites Bangkok, showcasing 34 exquisitely appointed suites is scheduled to open on 2 April 2017. 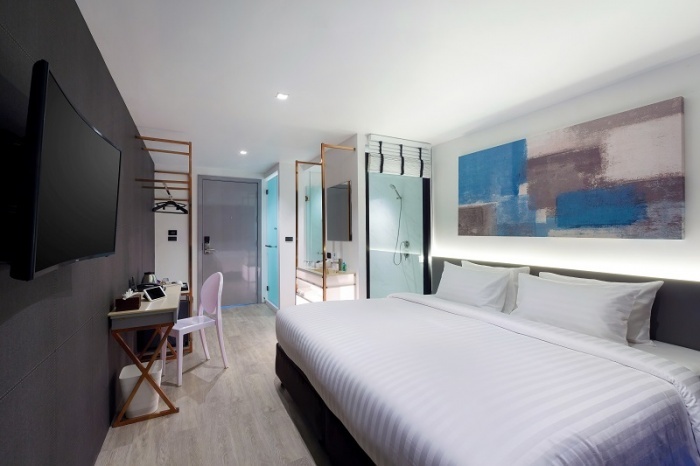 The property is a sister hotel to the award-winning 137 Pillars House Chiang Mai, and is located on Sukhumvit Soi 39, a short distance from the upscale and fashionable shopping district of Emquartier/Emporium. The architects for the property are Palmer and Turner from Bangkok, with Interiors by P49 Design and Landscape by Wabi Sabi Studio. 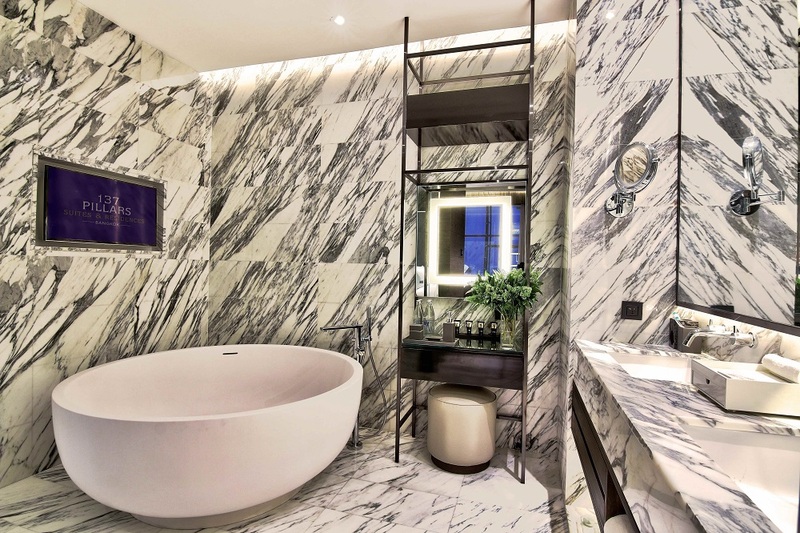 Interiors will showcase a warm palette of rich tones with exquisite white and grey marble bathrooms and expansive use of mirrors and glass. The hotel suites will be located from the 24th to 32nd floor with four categories of one and two bedrooms ranging from 70-127 square metres. 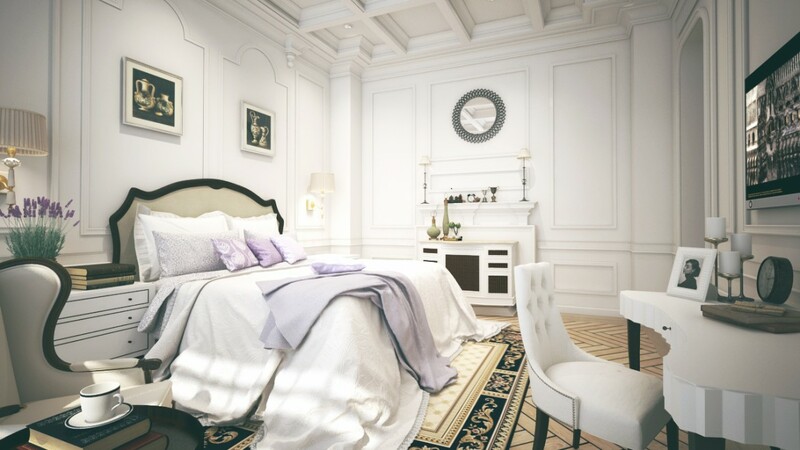 Features will include private dining tables, private butler service, maxi bars with wine cellars, user-friendly mood lighting, high ceilings, large walk-in wardrobes and stunning marble en-suite bathrooms with chic circular baths complete with built in TV. The sleep experience will be of the highest standard and the spacious balconies will be the ultimate chill zone, complete with the traditional 137 Pillars House signature rocking chair and an oversized day-bed for two, with superb view of the Bangkok skyline. 137 Pillars Suites will be a member of Small Luxury Hotels of the World (SLH). 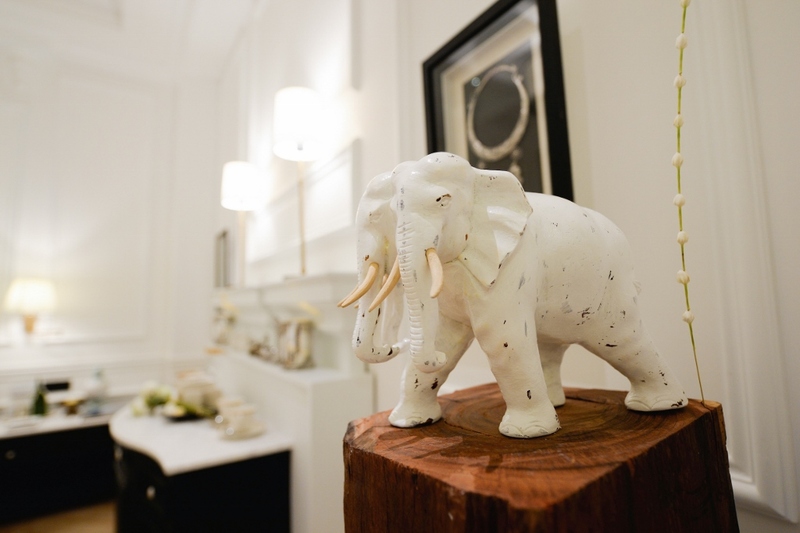 A range of creatively designed retail products will be available at the Bangkok Trading Post. 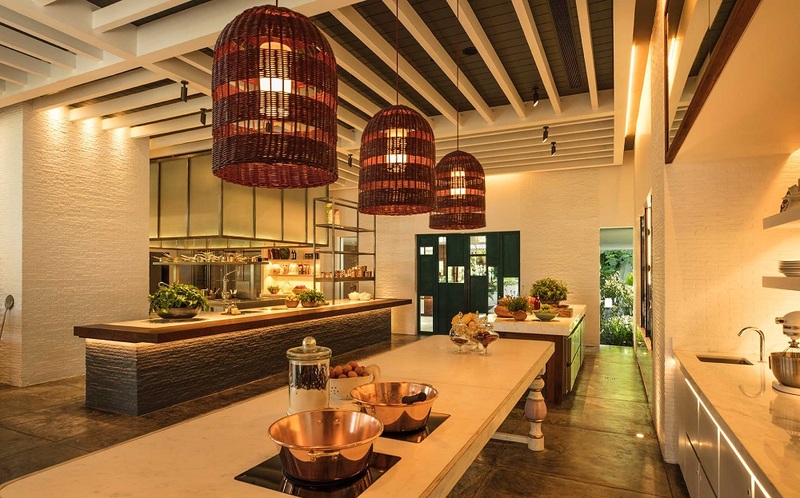 Both restaurants – Nimitr and The Bangkok Trading Post – have been designed and created by Bangkok’s chic design couple Sophie Beghin and Faun Israrena na Ayudhya of Santhaya Associates. The recent signing of Meliá Bangkok marks Meliá Hotels International entry into the Bangkok hotel industry in 2022. 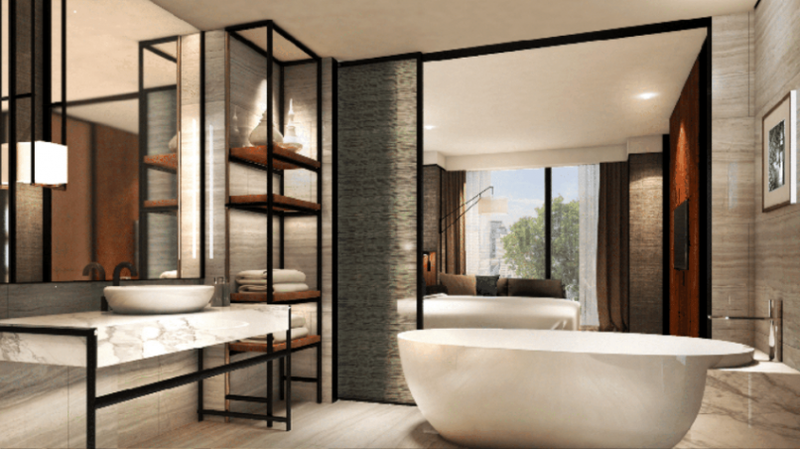 Meliá Bangkok is the company’s second property in Thailand, following the signing of Sol Beach House Koh Samui in 2015, and will be Meliá Hotels & Resorts first city-centre hotel. 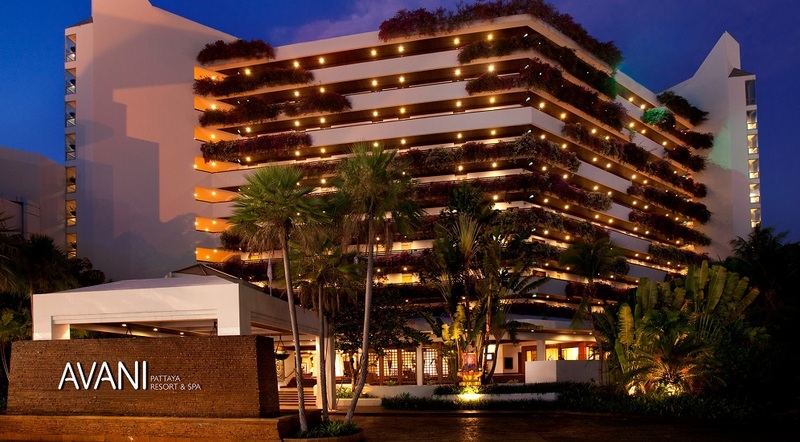 In 2016, Meliá Hotels International celebrated its 60th Anniversary. MHI has outlined the Group’s vision to double the Asian hotel portfolio by 2020 and the signing of Meliá Bangkok brings MHI’s presence in the Asian market to 13 operating hotels with a further 22 properties in the pipeline. 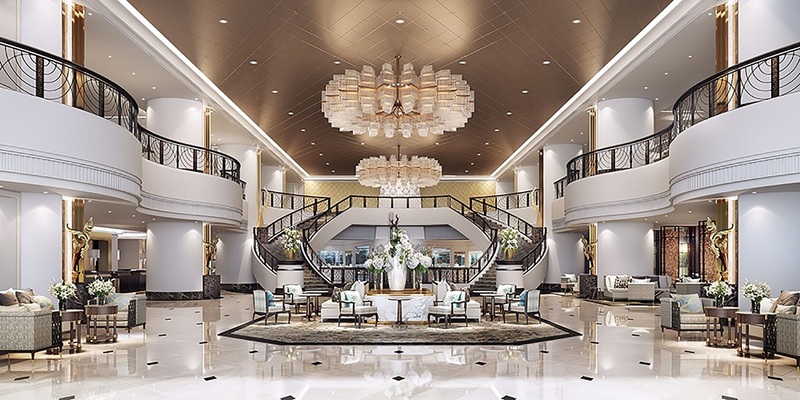 Leading global hospitality company Dusit International has signed a management agreement with Myanmar V-Pile Group to operate the Dusit Thani Yangon. Located just 15 minutes by car from Yangon International Airport, and approximately 20 minutes’ drive from the city’s main tourist attraction, the Shwedagon Pagoda, the new property sits at the heart of land earmarked by the Myanmar government to become the former capital’s new Central Business District. Dusit Thani Yangon will be positioned as a five-star corporate and MICE city hotel within a pioneering mixed-use development incorporating a convention centre, offices, retail and residential units. The hotel will comprise 338 rooms and feature one all-day-dining restaurant, one specialty Thai restaurant, and one rooftop restaurant and bar. Meeting facilities will include a 400-seat ballroom with adjoining conference rooms. Guests will also have access to a swimming pool, spa and gym. With a brand portfolio that ranges from personalised luxury to cutting-edge cool, Dusit International operates 29 properties in key destinations around the globe. A further 40 projects are already confirmed to open internationally within the next three years. Alongside Dusit Thani, Dusit International also operates the dusitD2, Dusit Devarana, and DusitPrincess brands. Beachside bliss, capital chic and heritage hospitality join together to offer independent leisure and business travelers a trilogy of exceptional stays in some of Southeast Asia’s most inspiring and dynamic destinations. Right on cue for the high season in Thailand, AKARYN Hotel Group is building on the success of its ‘instagenic’ and increasingly popular portfolio of hotels and resorts to offer guests three distinctive new hospitality experiences. Phi Phi Island Village Beach Resort is set to re-launch in November, following the final phase of its £3.7 million (THB160 million) refurbishment. 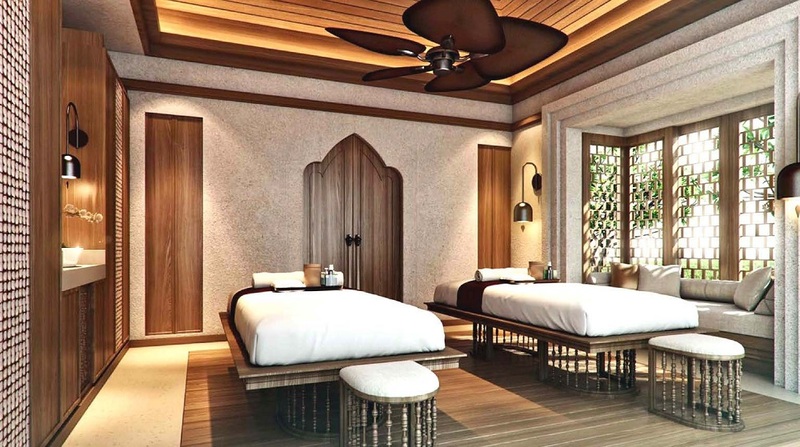 The overall vision for the renovations follows a “Chao Lay Southern Thai design concept” offering guests a rare combination of natural simplicity and comfort in one of Thailand’s most inspiring destinations. 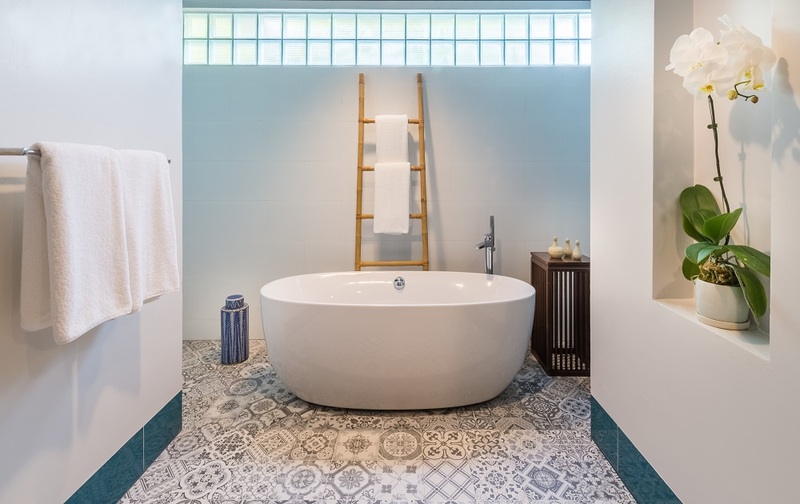 To strike a balance between authentic Thai architecture and a more modern tropical style resort, Thailand-based design firm Last Word Studio has created stylish interiors for the revamped bungalows while drawing on southern Thai architectural traditions. 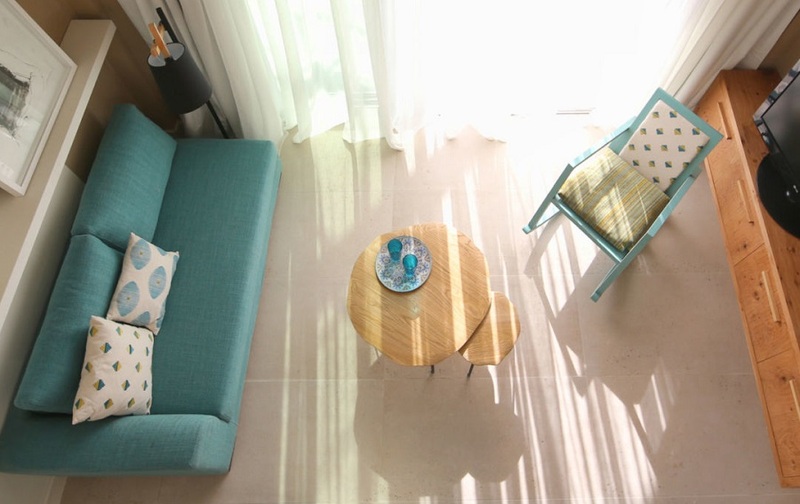 Spacious, airy, comfortable living spaces have long been a signature of Phi Phi Island Beach Resort. By building with local materials and focusing on air circulation, the properties blend with the tropical surroundings and are kept cool all year-round. Reflecting this approach, the new bungalows are raised slightly from the ground on sturdy pillars and boast tall, pointed roofs which catch the sea breezes and funnel fresh air through the interiors. Air-conditioning units have been also installed, even though they are not always required; thanks to a sensitive, smart design scheme that dates back hundreds of years. 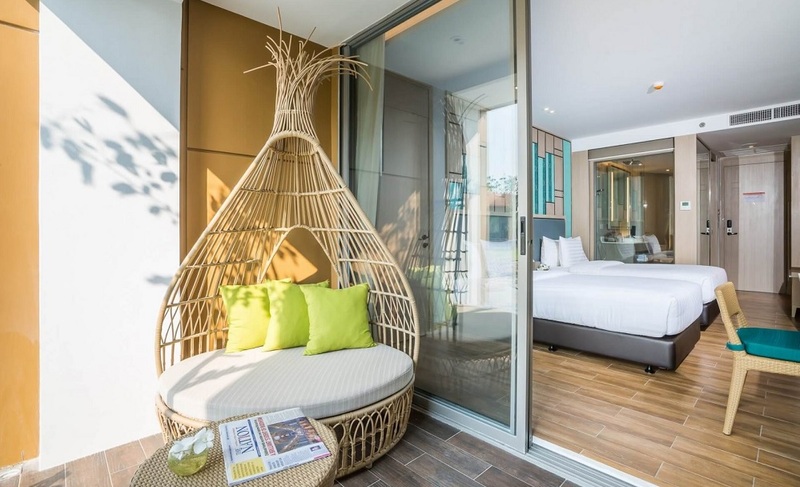 “Through the décor and design our new rooms offer a local Thai village feel, but they also come with all the added amenities of modern lifestyle. By staying true to the region’s architectural roots, we have also remained sensitive to the island environment – physically, and in terms of sustainability,” said Mr. Treenawong. In addition to these newly designed rooms, Phi Phi Island Village Resort recently completed their new-look restaurant Api, as well as a stylish al fresco coffee club called bean/Co. To accompany these new additions a new menu has been created, called The Beach House. All of the new amenities complement the elegant architecture and ambiance of the resort’s Ruan Thai restaurant, Phi Phi Island’s only authentic Thai dining experience. 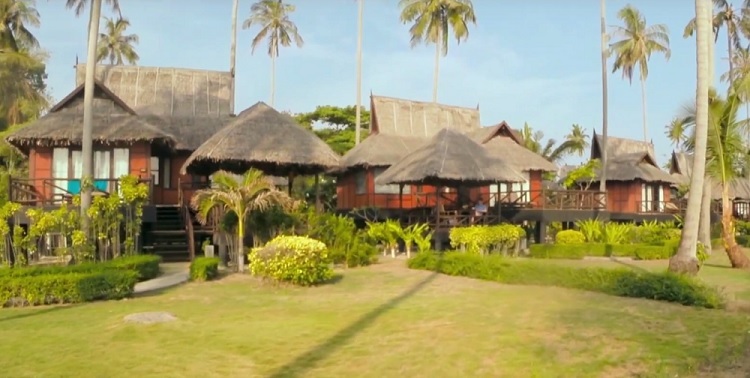 Phi Phi Island Village Beach Resort is constantly evolving and innovating in terms of eco-sustainability. The resort recently installed a reverse osmosis (RO) plant which provides 20,000 litres of clean per hour, whilst managing a coral reef rehabilitation nursery off the shores of the property. In addition, a 5-acre plot near the resort grounds has been dedicated to the planting and nurturing of new mangroves. Resort guests will have the opportunity to join staff and community leaders in bi-annual mangrove planting events, with up to 700 mangrove trees to be placed in the on-site plantation, as well in the coral restoration project. The Swiss hotel management company, Mövenpick Hotels & Resorts, has signed an agreement with leading real estate developer Nusasiri to manage three properties in Thailand. The three properties will be Mövenpick Residences Ekkamai, Bangkok and Mövenpick Resort Khao Yai, both scheduled to open in Q4 2016, and Mövenpick Resort Mai Khao Phuket which will open in Q4 2017. The announcement raises Mövenpick Hotels & Resorts’ total number of hotels and residences in Thailand to seven as the country’s thriving tourism sector continues to drive the global management firm’s portfolio in Asia. 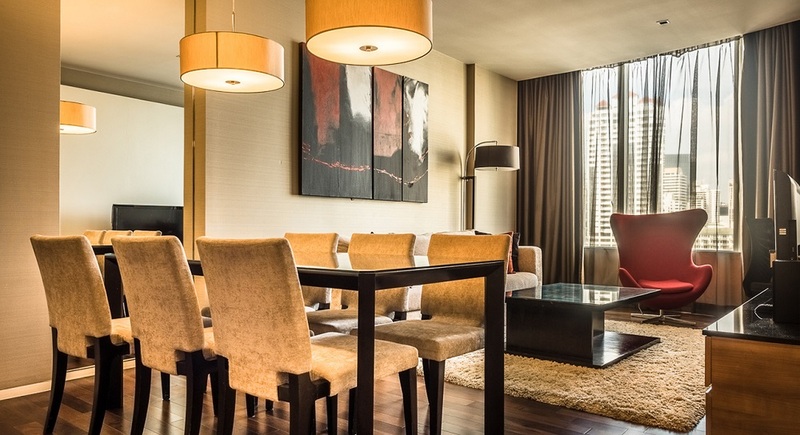 Mövenpick Residences Ekkamai is the first property under the exclusive Mövenpick serviced apartment brand. It will consist of 160 residences – serviced apartments of one, two and three bedrooms – featuring an all-day dining restaurant, lobby lounge and rooftop lounge and bar. Other facilities include a meeting space, swimming pool and fitness centre. Extensive modern resort facilities will be available to guests within a beautiful beachfront setting at Mövenpick Resort Mai Khao Phuket. The property will comprise some 220 rooms and feature a unique F&B proposition including an interactive all-day dining restaurant and an eclectic beach club. Meeting facilities, a kids club, three swimming pools, a fitness centre and signature spa complete the offering. Stunning European heritage-inspired exterior design will add a rich sense of grandeur at Mövenpick Resort Khao Yai, featuring 114 rooms comprising hotel suites and two, three and four bedroom villas, with a core selection of facilities set within a landmark European-inspired clubhouse encompassing an all-day dining restaurant, lobby bar, café, meeting space, swimming pool, fitness centre and spa. Mövenpick Hotels & Resorts currently has eight hotels in operation in Asia, four of which are in Thailand, its largest market in the region. The Mövenpick Hotel Sukhumvit 15 Bangkok and the 260-room Mövenpick Siam Hotel Pattaya are the latest additions to the group’s burgeoning portfolio in the region. 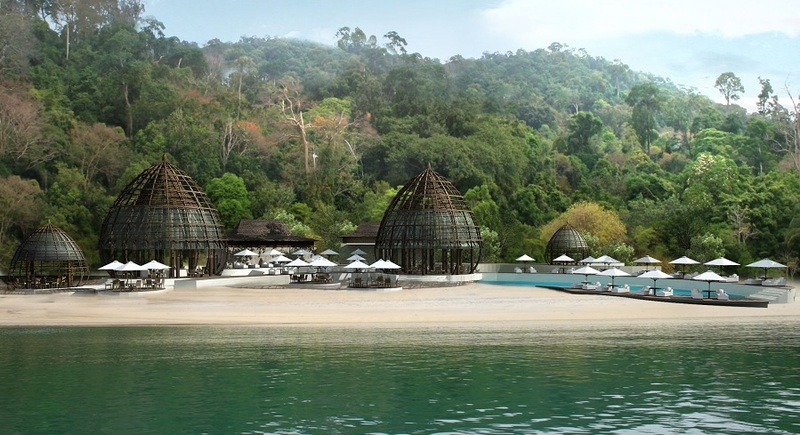 Mövenpick Resort & Spa Boracay will open this year, followed by Mövenpick Resort & Spa Jimbaran Bali in early 2017. The Swiss-hotel management company is focused on accelerated regional growth, with the company vision to manage over 30 hotels in Asia by 2020. 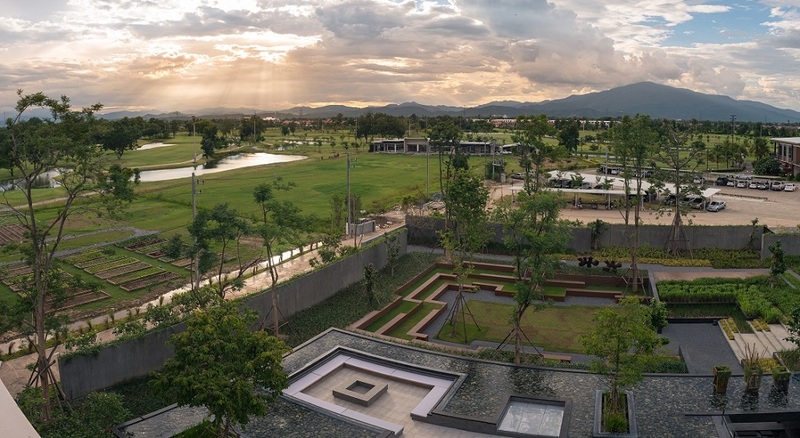 North Hill City Resort, a new five-star luxury resort near Chiang Mai, has officially opened and has welcomed its first guests. The boutique, 42-room resort offers a sophisticated and contemporary setting with outstanding views of Doi Suthep, ideal proximity to the new North Hill Golf Course and a number of unique amenities. The opening of the new resort in Chiang Mai coincides with the recent award by Travel + Leisure, whose readers voted Chiang Mai as best city in Asia in Travel + Leisure’s “The World’s Best Cities” survey. Inspired by the beautiful environs of the region, the resort features a fresh, contemporary design surrounding green space, nature and serene views of Doi-Sothep in the distance. Maximising outdoor spaces, the property features an expansive outdoor amphitheater with a swimming pool and pool bar, serving as a venue for functions, meetings and weddings. 42 modern guest rooms are thoughtfully appointed incorporating contemporary design and neutral tones to highlight the views. Additional amenities include a large flat screen TV and Blu-ray/DVD player, 500 thread-count white bed linens, luxurious bathrooms with a large soaking tub and a workspace area with a wooden desk. Additionally, guests at the resort will enjoy complimentary high speed Wi-Fi, complimentary breakfast and a fitness centre with state-of-the-art cardio equipment. Culinary enthusiasts will love the property’s new Italian restaurant the Zest, with a modern and intimate design. Additionally, the resort houses a private home grown farm that is more than 6,000 sqm featuring a number of local vegetables. Rising above the banks of Bangkok’s picturesque Chao Phraya River, the world’s first purpose designed AVANI hotel, AVANI Riverside Bangkok Hotel, offers a smooth blend of contemporary style, modern warmth and stunning views across Asia’s most dynamic city. On arrival guests are immediately greeted by an arresting view of the Chao Phraya River from the vast lobby, located on the eleventh floor. The open plan design blends reception, lounge, meeting, chill out and restaurant spaces. The interiors are spacious, the driving ethos is modernity, fused with comfort and great craftsmanship. 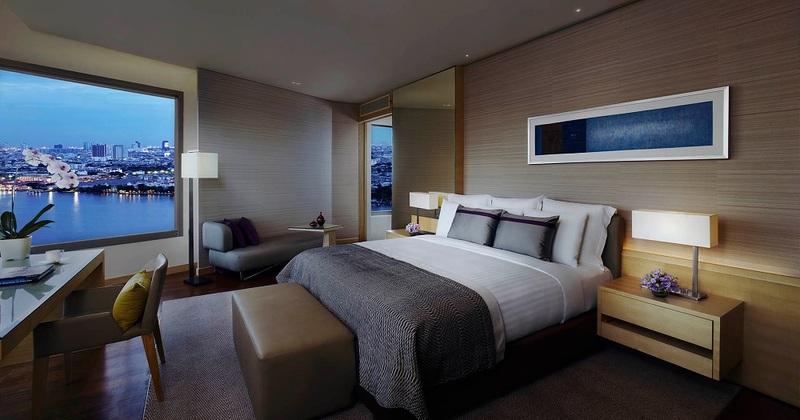 All of the hotel’s 248 stylish guest rooms and suites, boast uninterrupted city and river views. The neutral décor is a blend of comfort and modernity, natural materials and high-tech equipment, along with extra conveniences such as a rain shower, dedicated work station with free WiFi and a media hub docking station. 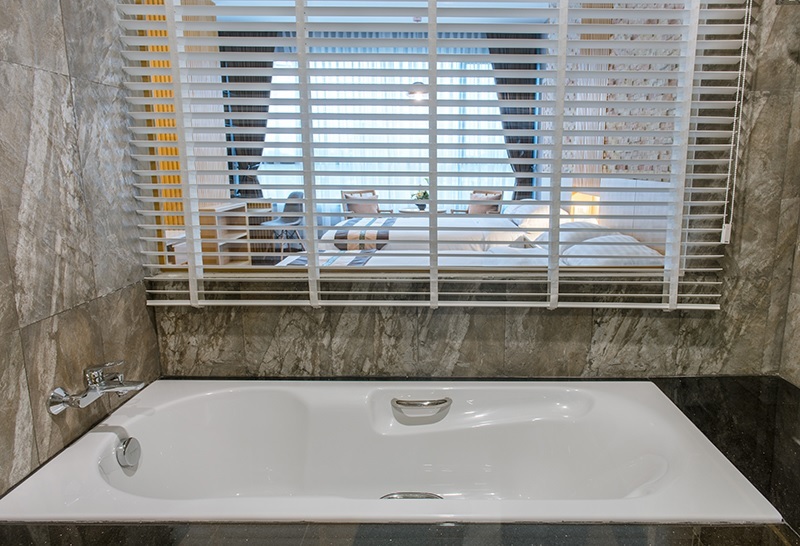 Each of the spacious River View Junior Suites features a bathroom with a view, outfitted with a freestanding tub. At the other end of the terrace is ATTITUDE, Bangkok’s newest rooftop hot spot to see and be seen. Different areas of the restaurant and bar, intimate or collective, are designed for socialising and include an indoor lounge with a DJ booth, an open show kitchen, wine wall and outdoor lounge-style restaurant and bar. North Hill City Resort, opening this month, is a new five-star luxury resort incorporating a modern contemporary design that embraces the destination of Chiang Mai. A five star resort, the design highlights the beauty of the resort’s idyllic and serene location while still close to tourist destinations, and captures outstanding views of Doi Suthep. 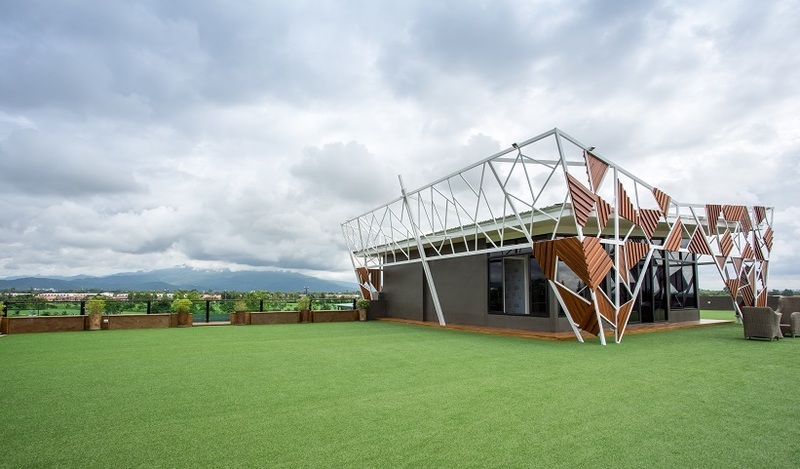 Only 20 minutes from the hustle and bustle of the city area, the boutique 42-room property’s primary design element is the surrounding green space and nature. Designed by landscape and architecture firm, RAFA, the resort maximizes outdoor spaces with an expansive outdoor amphitheater alongside a swimming pool and deck. In addition to panoramic views of Doi Suthep, this outdoor area serves as a venue for functions, meetings, weddings and also features a BBQ area. With a modern design highlighting traditional Thai design elements, guestrooms feature a neutral color scheme with earthy brown and tan tones complimented by elegant stone and wood throughout. 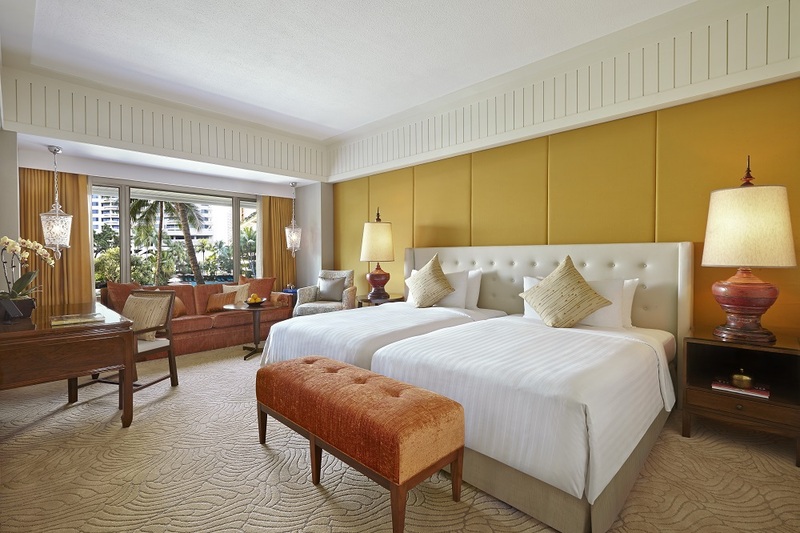 Additionally, the rooms feature state-of-the-art luxury amenities such as a 40” LED TV, 500 thread-count white bed linens, an area with a wooden desk and workspace and sprawling windows offering unobstructed views of the resort’s beautiful environs. 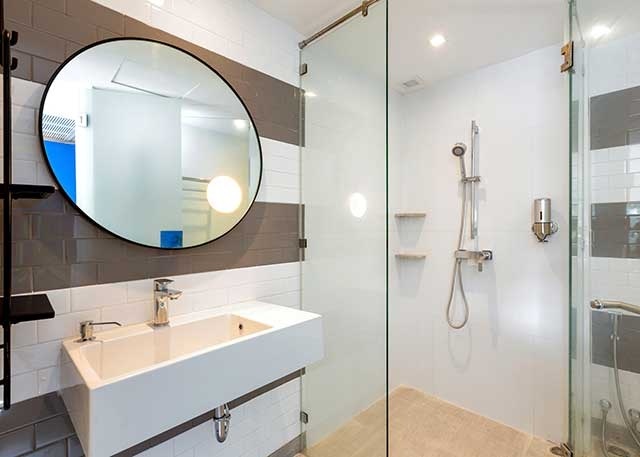 Guests will enjoy luxurious bathrooms, including a large marble soaking tub and a shower panel with an overhead rainfall shower, a hand-held showerhead and body massage nozzles for the ultimate relaxation. A quick walk away is North Hill Golf Club, a pristine 18-hole golf course in signature mint condition with panoramic Doi Suthep scenery. Next door will be a luxurious and state-of-the art clubhouse, including a welcoming lobby, a sweet and richly scented coffee corner and a Pro Shop where guests can purchase personalized services, souvenirs and golf equipment. The clubhouse will include a business lounge designed to meet the needs of business travelers on the road, a fitness studio with top-of-the-line equipment, a Cheval Blanc Lounge, a karaoke room, and a games room. Perfect for groups of five to 300, the North Hill City Resort’s meeting and conference functions have a lot to offer. Each room has a unique design, including The Forum which features luxury dark brown hues and suites intimate groups of five to ten or the medium-sized The Merit Conference Room ideal for groups of up to 30 people. The Glory Room is features a serene white and grey color scheme, making it perfect for weddings or large company functions. Additionally the resort’s meetings space includes an outdoor area with a golf course view, holding up to 1,000 people. Wyndham Grand Phuket Kalim Bay is expected to open just north of Patong Beach in November offering stylish rooms for hotel guests. 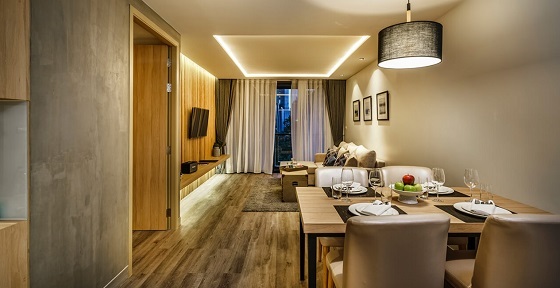 CLUB Wyndham ASIA, a part of the Wyndham Vacation Ownership business, has also signed an agreement subject to specified requirements which once complete, will give CLUB Wyndham ASIA members access to luxurious apartments at the resort. Wyndham Grand Phuket Kalim Bay’s 214 rooms and facilities are designed to highlight its stunning locale nestled on the edge of a cliff which boasts sweeping views of the Andaman Sea. The resort is a stone’s throw away from Phuket’s vibrant entertainment precinct yet just far enough to enjoy only the sounds of peaceful waves rolling into shore. The rooms will bring the outdoors in by illuminating its plush setting and spectacular sea views. The 48m2 standard rooms will offer guests the luxury of space together with plush furnishings and a full suite of in-room amenities. Each of the resort’s 152 pool villas, the most in the Kalim-Patong area, will feature a private outdoor sundeck and a six- or nine-metre infinity pool overlooking the ocean, providing guests with privacy and seclusion as well as ultimate comfort and relaxation. Wyndham Hotel Group is actively expanding its diverse footprint of offerings in the region, having just recently announced the signing of a new Wyndham hotel in Danang, Vietnam. The company currently has nearly 8,000 properties worldwide with over 1200 hotels open and operating across the Asia Pacific Region under its Ramada, Wyndham Hotels and Resorts, Days Inn, TRYP by Wyndham and Microtel Inn & Suites by Wyndham Super 8 brands. 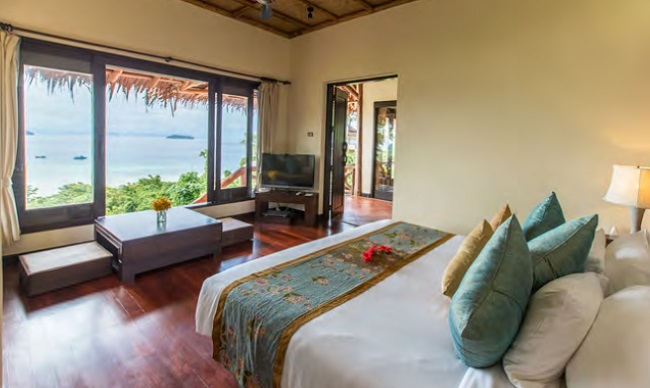 From coral clean-up to sustainable water sourcing, Phi Phi Island Village Beach Resort is leading the way in eco-sustainability within the luxury travel sector. Currently in the midst of an extensive £3.5 million renovation aimed at eco-sustainability, Phi Phi Island Resort is committed to protecting the beautiful nature that surrounds this spectacular destination. The resort recently installed a new reverse osmosis (RO) plant which provides 20,000 litres of clean, sustainable water per hour using a system that requires little maintenance at low cost. In addition, a five-acre plot on the resort grounds has been dedicated to the planting and nurturing of new mangroves. Resort guests will also have the opportunity to join staff and community leaders in bi-annual mangrove planting events, with up to 700 mangrove trees to be placed in the on-site plantation. This tropical coastal vegetation protects shorelines from erosion, helps maintain water clarity, and provides breeding and nursery grounds for a number of marine organisms. The 18th of every month is named “Save The Sea Day” at Phi Phi Island Village Beach Resort. This is when trained staff members check and maintain the resort’s coral nursery with help from hotel guests to collect any rubbish that has built up within a one-kilometre radius of the resort. After 10 months, when the coral is strong enough, it is transplanted onto the offshore reefs that surround the island to replenish the natural beauty beneath the sea. Phi Phi Island Village Beach Resort has also undertaken other sustainable initiatives to reduce the impact of the resort’s ecological footprint, including making natural fertiliser from food waste created at the resort, using earthworms to dispose of wet food waste. “We are constantly increasing our efforts to reduce the carbon footprint of the resort, and we are also encouraging guests to do their part in sustaining the resources and beauty of the region. “We aim to reduce the stress that is put upon our environment and return balance to the delicate ecosystems to the best of our ability. With these initiatives in place, we hope to stand as a figurehead for a more environmentally sustainable Koh Phi Phi,” said Mr. Chao Treenawong, General Manager. The resort’s owners, Singha Estate Plc is working with leading experts from Phi Phi Island National Park Division, Ministry of Natural Resources and Environment, Marine Science Department, Faculty of Fisheries, Kasetsart University and Faculty of Science at Chulalongkorn University; to implement and manage a range of environmentally friendly initiatives at Phi Phi Island Village Beach Resort and on Koh Phi Phi island. “Change comes from collaboration as we work together to restore Phi Phi Island as a world-renowned destination for marine resources,” said Mr. Naris Cheyklin, CEO, Singha Estate Plc. As part of the “Phi Phi Set To Change” Programme, the number of boats and visitors to nearby Loh Ba Gao and Phai Island has been reduced with a ‘park & ride’ system introduced for operators to drop off visitors and moor their boats at floating docks, instead of anchoring at sea, which damages the coral reef. Watchdog boats have also been provided to help park officers work more effectively, assisting visitors and keeping violators away. 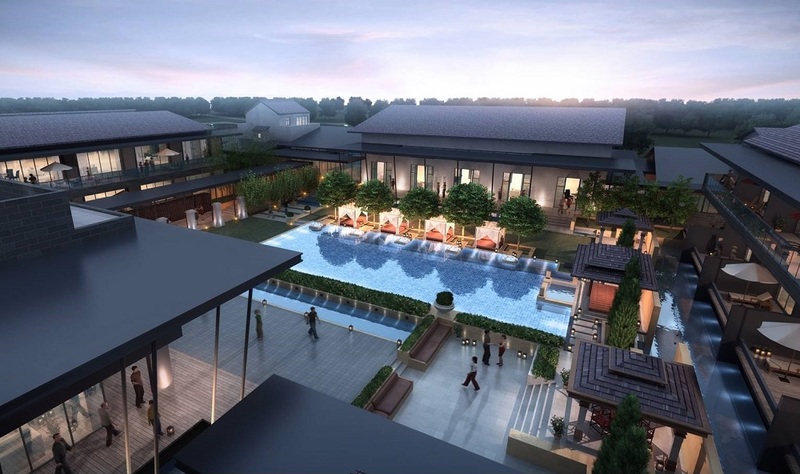 North Hill City Resort, a new five-star luxury resort in Chiang Mai, is set to open in August 2016. Perfect for business and leisure travelers alike, the boutique, 42-room resort offers a sophisticated and contemporary setting with outstanding views of Doi Suthep, ideal proximity to the new North Hill Golf Course, and unique amenities including an outdoor amphitheatre and outdoor swimming pool and deck. The opening of the new resort in Chiang Mai coincides with the recent award by Travel + Leisure, whose readers voted Chiang Mai as one of the top 15 cities in the world, and the top city in Asia in Travel + Leisure’s “The World’s Best Cities” survey. North Hill City Resort enjoys an idyllic location just outside of Chiang Mai, making for a unique gateway to the region’s natural and cultural attractions. Inspired by the beautiful environs of the region, the resort features a fresh, contemporary design that maximises outdoor spaces. The resort offers 42 spacious guest rooms and suites with serene views of Doi-Sothep in the distance. The modern guest accommodations are thoughtfully appointed with state-of-the-art technology and luxury amenities, such as complimentary, high-speed WiFi, a 40” LED TV with satellite channels, 600 thread-count bed linens and complimentary buffet breakfast. The resort features a fitness centre with state-of-the-art cardio equipment along with an all-day dining restaurant and business lounge. North Hill City Resort is an excellent choice for both leisure and business travelers. 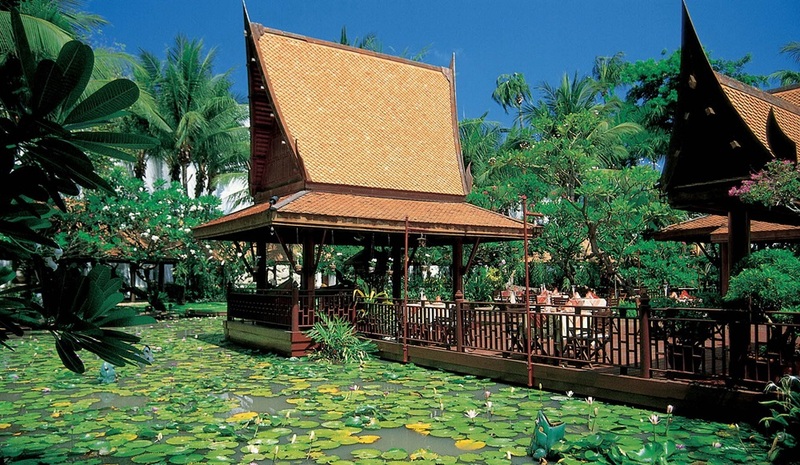 The resort is conveniently located 20 minutes from Chiang Mai International Airport and downtown Chiang Mai. The new modern city 18-hole North Hill Golf Course is right next door and favorite regional attractions are a short drive away. Further, the resort features a five-star suite of unique and modern amenities that make it an outstanding destination for business meetings and distinctive special events. An outdoor pool, deck and barbeque offer panoramic views of the countryside and Doi Suthep in the distance, while a lovely outdoor amphitheatre is a memorable setting for weddings and cocktail receptions. Guests will also enjoy The Vivace Lounge where a unique selection of cigars are available purchase and a new restaurant concept offering flavorful Italian cuisine. North Hill City Resort houses a private organic farm that is more than 6,000sqm featuring a variety of vegetables including broccoli, cauliflower, Chinese kale, Chinese cabbage, zucchini, lemongrass, garlic chives, Japanese mint, super-hot chilies and more. Additionally, guests will have the opportunity to take a farm-to-table cooking class, where they will pick these local Thai herbs and vegetables to be used for their meals. 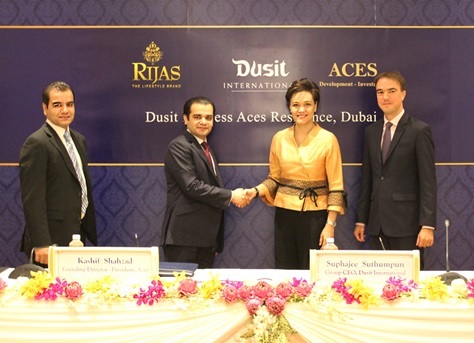 Dusit Hotels and Resorts has announced the signing of a technical design agreement with ACES Property Development to bring a new hotel apartment project under the DusitPrincess brand to Dubai in the United Arab Emirates. The DusitPrincess ACES Dubai will be located in the Jumeirah Village Circle, in close proximity to the new Al Makhtoum International Airport, the Palm Jumeirah, and other exciting shopping and entertainment venues. Full details will be released at the project’s ground-breaking ceremony to be held soon. Phi Phi Island Village Beach Resort is delighted to announce an extensive £3.5 million renovation to be fully completed in October 2016, with the completion of 45 brand new luxurious and exclusive private villas and a glimmering 25-metre beachfront infinity pool. Located on Koh Phi Phi, within the Nopparattra National Park, Phi Phi Island Village Beach Resort allows guests to feel as if they’ve arrived at their own private village in the heart of Paradise. With 201 exceptional bungalows and hillside villas, privacy and exclusivity are the order of the day across the resort’s 70 tranquil. The new renovation is stylish and delightfully in keeping with the surrounding natural environment whilst offering a chic-style of accommodation in traditional Southern Thai village style with light-filled rooms soaked in sunlight. The interiors are all contemporary, spacious, featuring a rain shower and a sprawling balcony. The resort’s three restaurants and four bars have all been completely renovated to the highest standards and provide a delicious array of cuisines set against a backdrop of exquisite views. Thai hotel group Dusit International is continuing its strong Middle Eastern expansion with its first dusitD2 hotel in the United Arab Emirates. 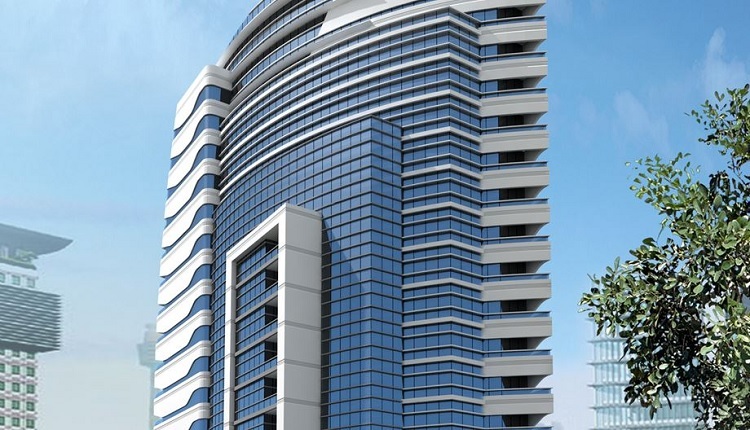 The new dusitD2 Kenz Dubai by Dusit will be located in the TECOM district of Dubai, facing the main thoroughfare Sheikh Zayed Road, and is scheduled to open in July 2016. The property is described as an “upscale hotel that caters to business and leisure travellers”, and will feature 237 rooms and suites, all with free Wi-Fi access, digital media hubs with universal power outlets, and LED TV screens. Hotel facilities will include Thai and Mediterranean restaurants, a rooftop pool, spa, fitness centre, three meeting rooms and a boardroom. The DusitD2 Kenz Dubai, as it will be known, becomes the company’s fifth property in UAE, following the Dusit Thani Dubai, Dusit Residence Dubai Marina, Dusit Thani Abu Dhabi and Pearl Coast Apartments in Dubai. 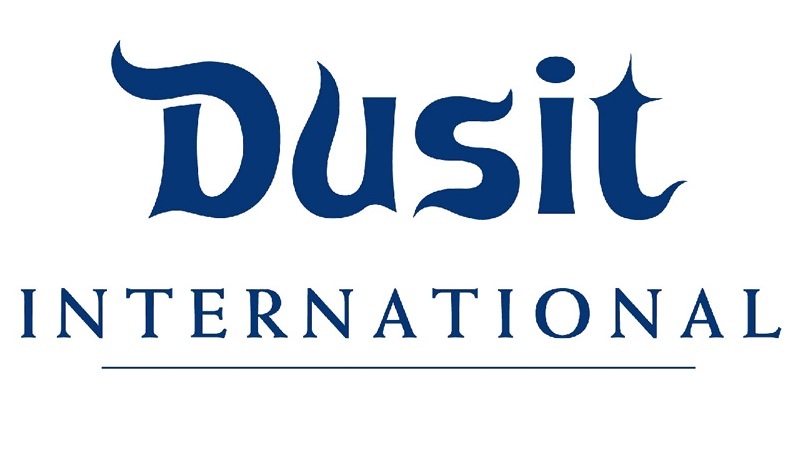 The company also plans to bring its dusitD2 brand to Abu Dhabi in the near future. 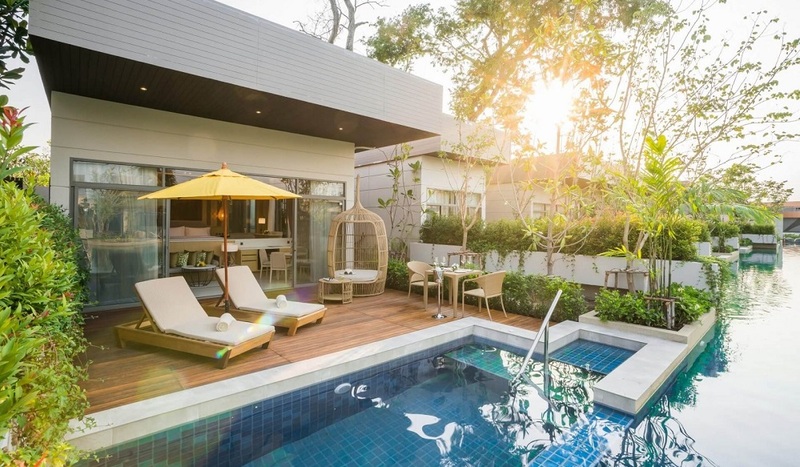 The owners of luxurious, heritage hotel 137 Pillars House Chiang Mai have launched a boutique hotel operation, which will take its name from this first hotel in the group. The Wongphanlert family is now planning a series of new properties in Bangkok, Phuket and further afield for the 137 Pillars Hotels and Resorts. The group will be headed up by Christopher Stafford, who now becomes 137 Pillars Hotels & Resorts’ chief operating officer. Stafford will be tasked with overseeing the launch of the company’s second property, 137 Pillars Suites & Residences Bangkok, which is scheduled to open in late 2016. Set on the 23rd to 30th floors of a new tower, the hotel will offer 34 suites, all featuring large balconies with rocking chairs and two-person daybeds. 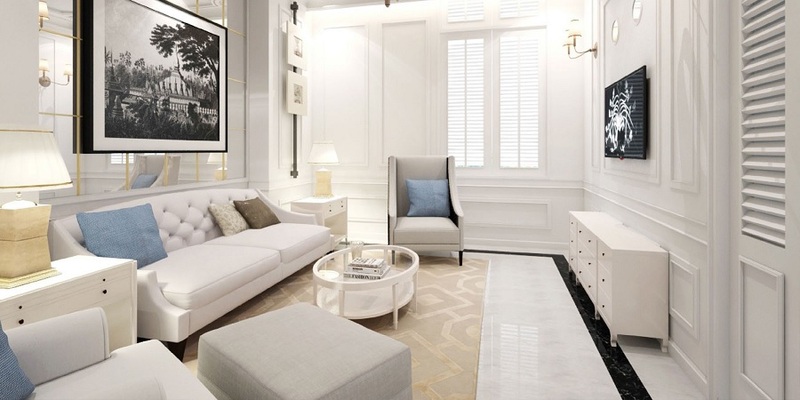 The Bangkok hotel will also offer almost 180 one and two-bedroom private residences. Facilities will include a 32nd floor sky bar and rooftop infinity pool, plus a spa. The 26th floor will also feature “pods” for late-leaving and early-arriving guests whose rooms aren’t available, with separate shower facilities. 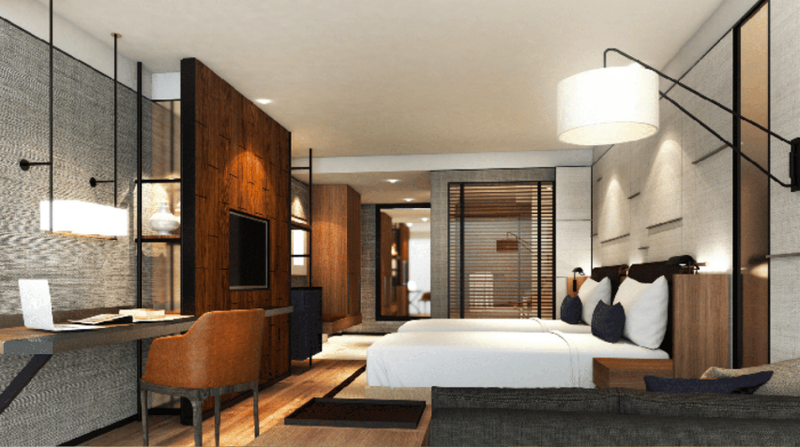 A third hotel, 137 Pillars Estate Phuket, is then scheduled to open in early 2019 on the north peninsula of Kata Beach. 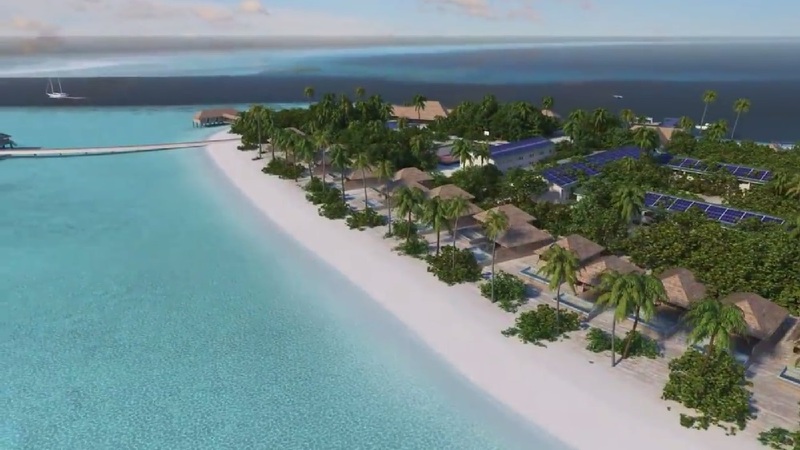 It will feature 16 villas and 46 suites, all with private pools. The original 137 Pillars House in Chiang Mai dates back to the late 1800s and was the former headquarters of the East Borneo Company. The company’s website, 137pillarshotels.com, went live last weekend. . . 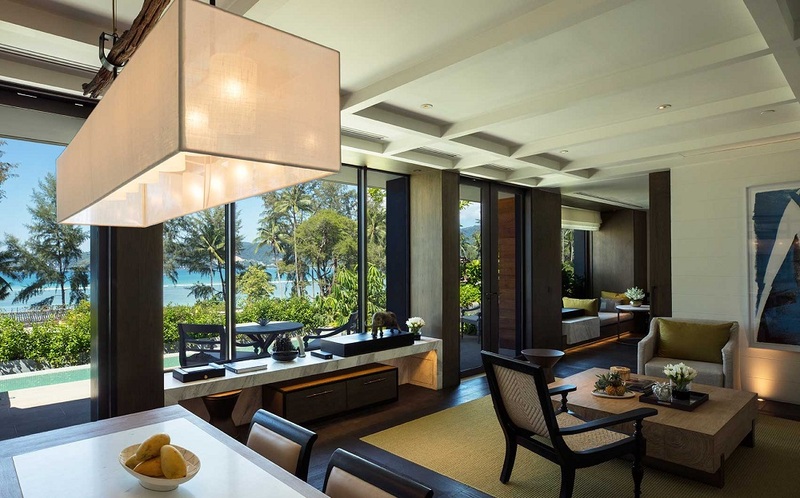 The Residences by Anantara Phuket Layan, a new luxury residential villa development overlooking breathtaking Layan Beach, were designed by the late Jaya Ibrahim of Jaya International. 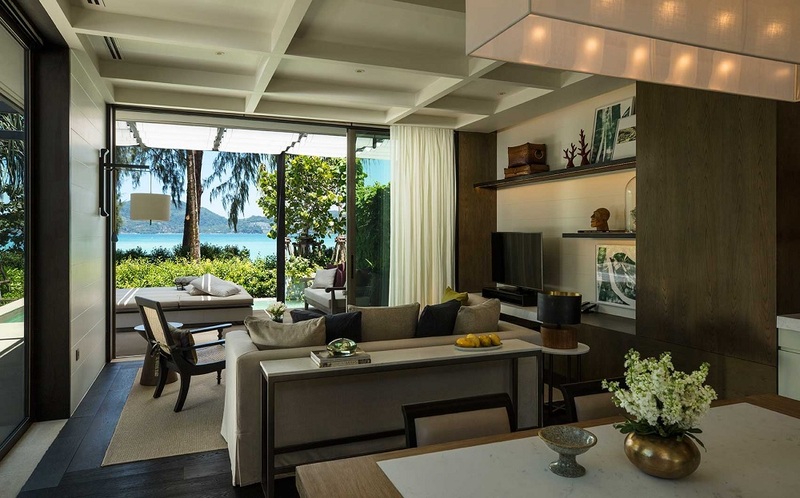 In one of the final projects designed by Jaya himself, the designer curated a modern interpretation of the classic Asian space, bridging the culturally rich and flavorful world of Thailand with today’s modern luxury standards. The design reflects the tranquility and beauty of the region. 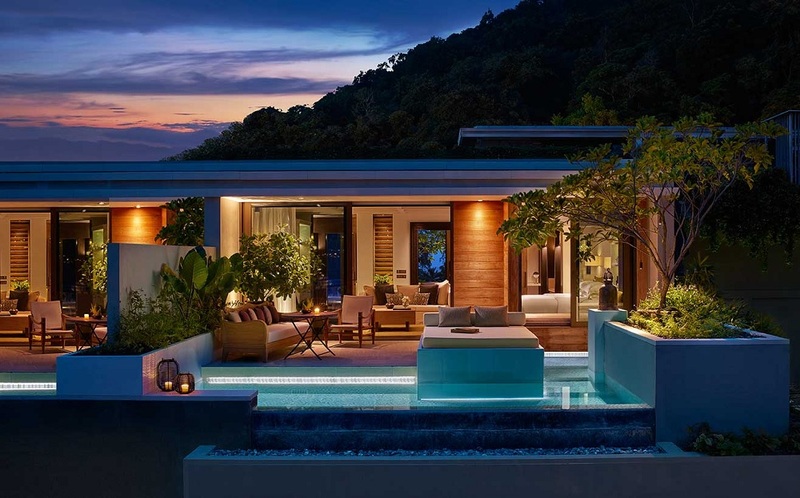 The Residences by Anantara Phuket Layan are the first branded residences for the award-wining luxury hospitality brand. 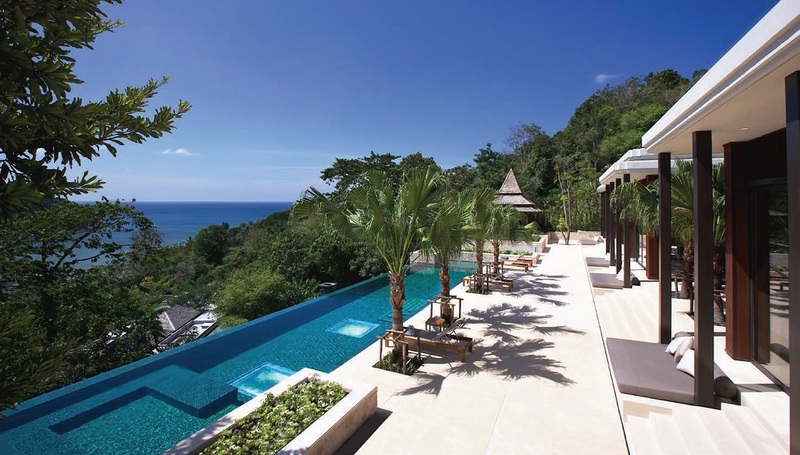 Located on the Layan Beach, on the northwest coast of Phuket, renowned for its lush tranquil and stunning environs, the 15 impressive villas range in size from three to seven bedrooms, each with a 21-metre infinity pool and providing an unobstructed 180-degree view overlooking the Andaman Sea. The spectacular expansive residences range in size from 1,695 to 3,220 square metres, providing the space to get away from it all, or to share the luxurious destination with friends and family. Inspired by the locality of Phuket Layan, Jaya’s design draws on the cultural and ecological context of the natural terrain. The resort is situated in the canopy of the surrounding rainforest, perched on hilly terrain above a quiet beach. To blend the buildings with its surroundings, indigenous and natural materials were used, such as Thai travertine, locally-sourced wood and Terrazzo flooring. 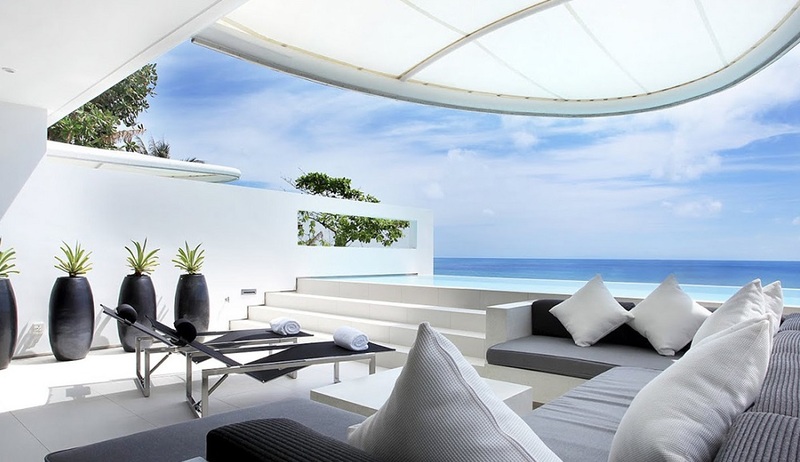 The residences feature two-tiered flat roofs with indented corners, a modern twist on the traditional Thai design element that also serves to enhance views. Ranging from three to nine bedrooms, each villa offers a mixture of covered and outdoor spaces. While the architecture is reflective of the landscape and its contours, the interiors are a seamless response to the architecture. 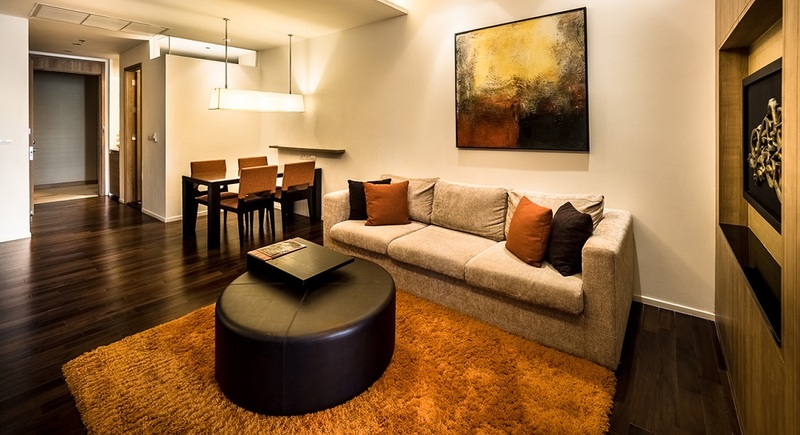 The interiors are calm and comfortable, allowing the transition from a busy, urban life to peace and quiet. 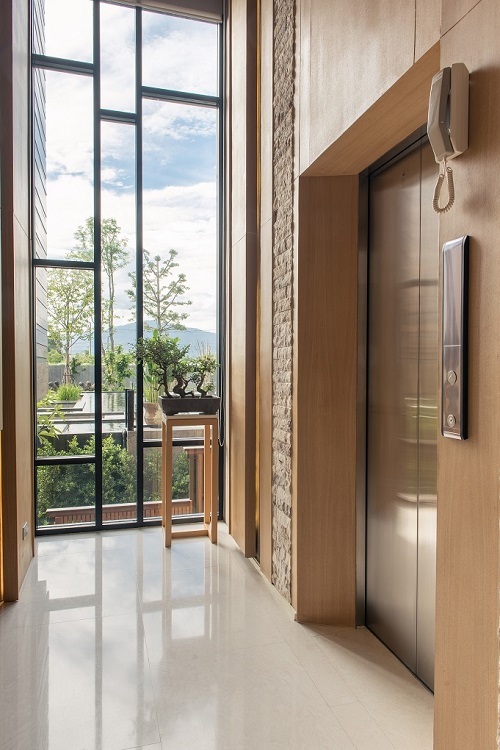 Features and doors are aligned to emanate a sense of balance and security, and the furniture layouts in each room are focused on the view outside. The sense of place is subtly enhanced with the choice of materials, like wood and stone with natural instead of highly glossed finishes. The Thai culture is reflected through distinct design elements, such as the intricately carved ceiling lattice, the carpet pattern and the curves of the furniture. All of the décor elements were specifically designed or handpicked by Jaya himself as a complement to the cultural richness of the location. The interior is warm, welcoming and luxurious, and emanates a distinctly authentic aura. A rustic bronze lamp stand with three tiers and indented corners is an inverse reflection of the building itself. Colourful hand woven rugs were created using a combination of silk and wool. Additional artifacts and antiques found throughout the residences were curated personally by Jaya to embellish the surroundings. Kata Rocks incorporates a clever piece of design to give the illusion that you are in fact on your very own super yacht adrift on the Andaman Sea. A minimalist presence throughout, the modernistic layout gives those who visit an entirely new luxury experience in Thailand. Kata Rocks appointed architect firm Original Vision to take the lead in creating this particular vision; with an emphasis on clean and uncomplicated spaces designed towards the exceptional panoramic views. 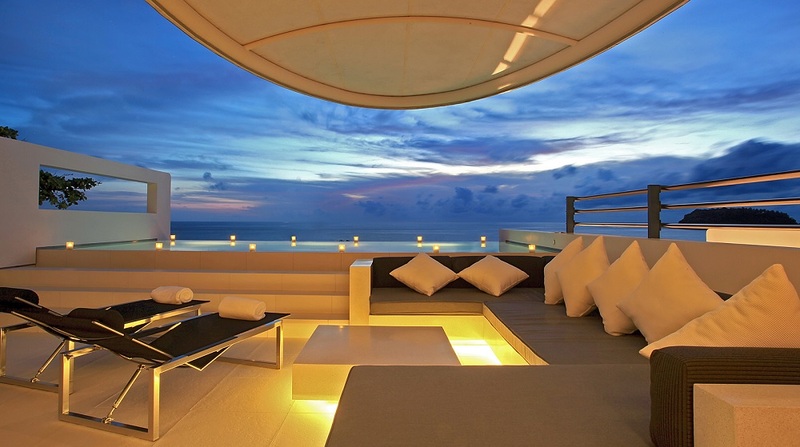 With the exclusive positioning in mind each of the Sky Villas has a clear, unobstructed view over the Andaman sea. Kata Rocks’ apartment-sized Sky Villas combine the space and opulence of a modern villa, with eye-catching wraparound glass and metal, a breath-taking retro and nautical auras, the boutique resort provides a chic and stylish setting where guests can experience an alternative to luxury in Thailand. Each privately owned and managed by Infinite Luxury with the service standards of a 5 star boutique hotel. 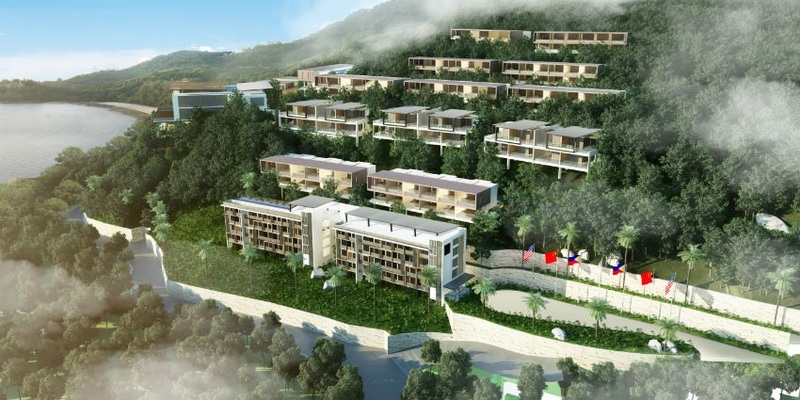 With 34 one, two, three and four bedroom Sky Villas stacked across the hillside, these are big, bright and beautiful. The apartments (134-334sqm) and Penthouse (460sqm) come with a fully-fitted kitchen, living and dining areas with floor-to-ceiling sliding glass doors opening onto private infinity pools – each of which is a minimum of seven-metres long. 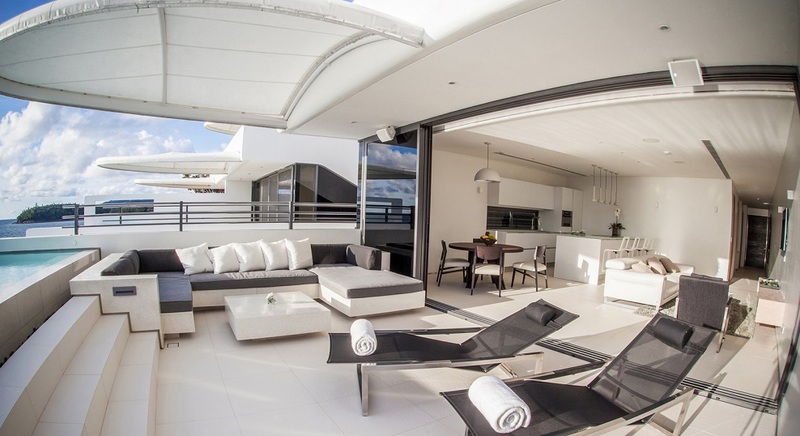 The design inside and outside has been well thought out; the furnishings are sleek and Italian-made, all white-on-white, from white linens to white umbrellas shading white sunbeds overlooking a white-tiled pool. The privacy of the villas, each with their own luxury amenities offer an unparalleled sense of space and tranquillity, creating a feeling of harmony and balance set against its lush tropical surroundings. 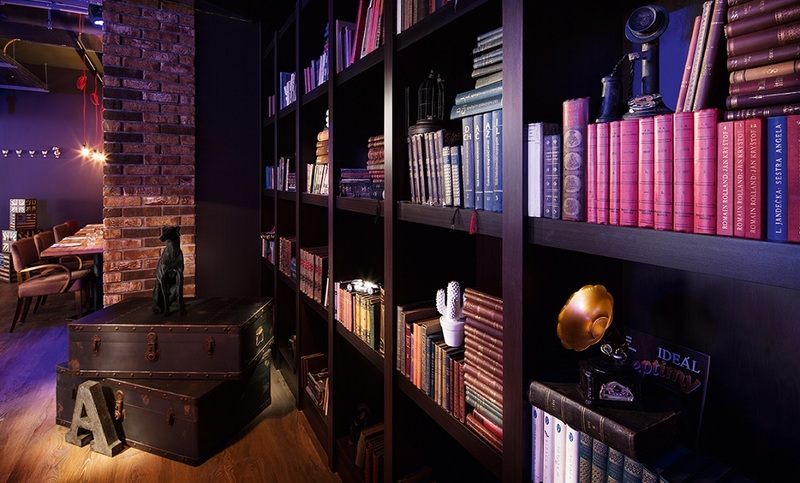 Kata Rocks has already collected many prestigious design awards – such as ‘Best Apartment in the World’ and ‘Best Small Hotel in the World’ – in the International Property Awards, triumphing over luxury properties from over one-hundred countries around the world. Facilities extend to a stunning picturesque restaurant, a 35-metre swimming pool with a stylish poolside bar, a sublime Infinite Luxury Spa which houses everything from energy pods to light-emitting treatment beds and one of the most cutting-edge fitness facilities in Thailand. Between two of the islands finest beaches, Kata and Kata Noi, Kata Rocks is quickly becoming one of the island’s most fashionable resorts.